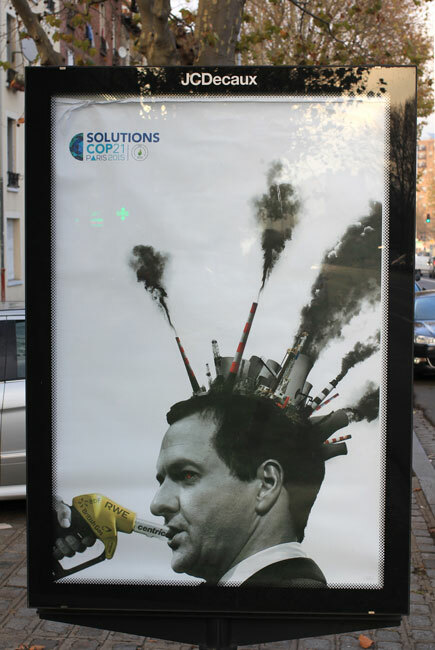 The United Nations 21st ‘Conference of Parties’ that took place in December 2015 was aimed at establishing a global agreement to limit greenhouse gas emissions to avoid the worst impacts of climate change. 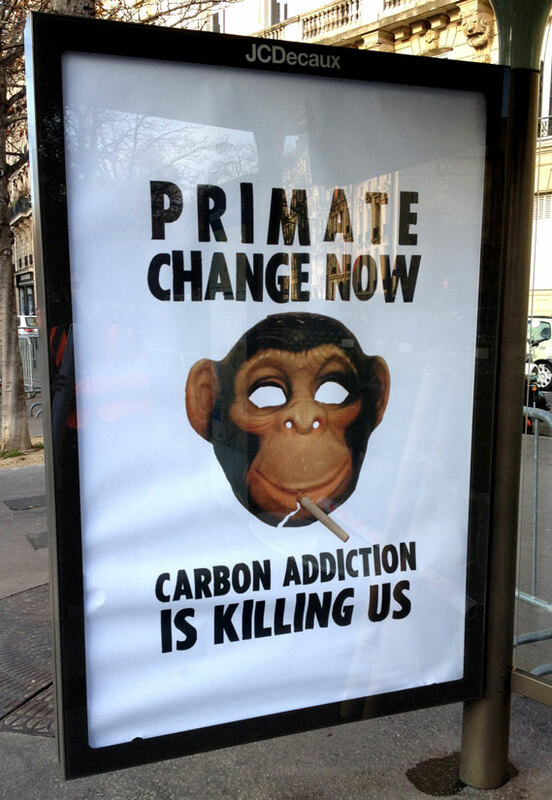 Yet in 20 years of UN climate change talks, global emissions have risen by 63%. 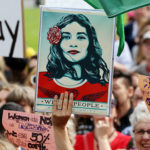 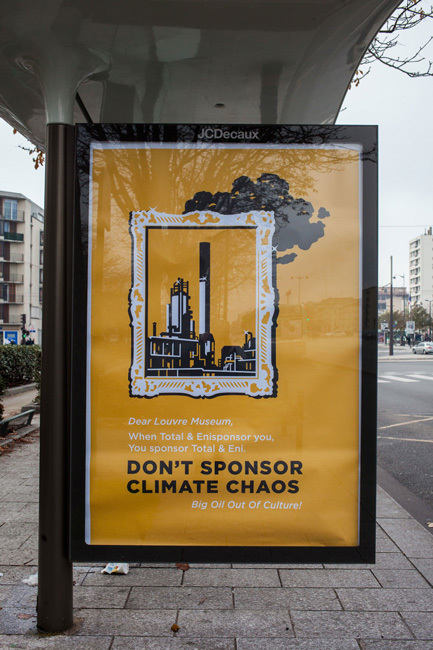 Increasingly, these talks are dominated by corporate interests as powerful corporate lobbying groups and networks pressure state leaders to protect their business interests at the expense of the climate. 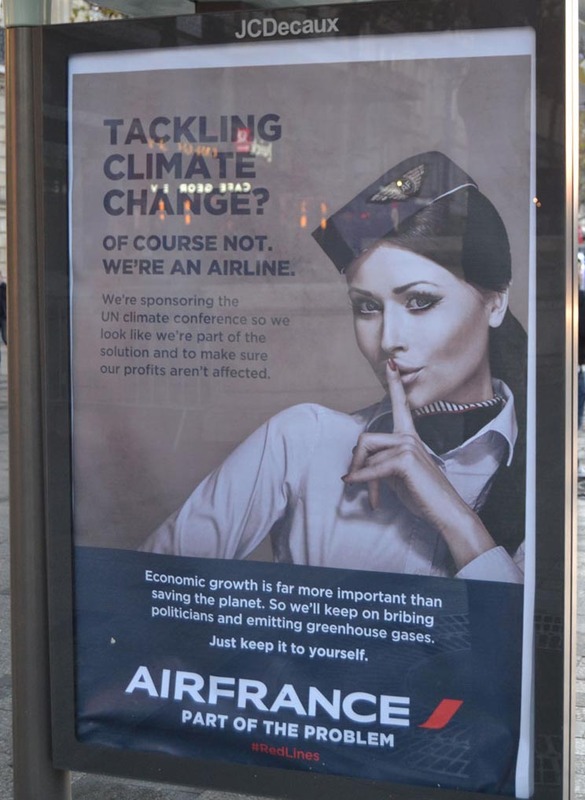 The talks in Paris were being held at an airport and were sponsored by an airline. 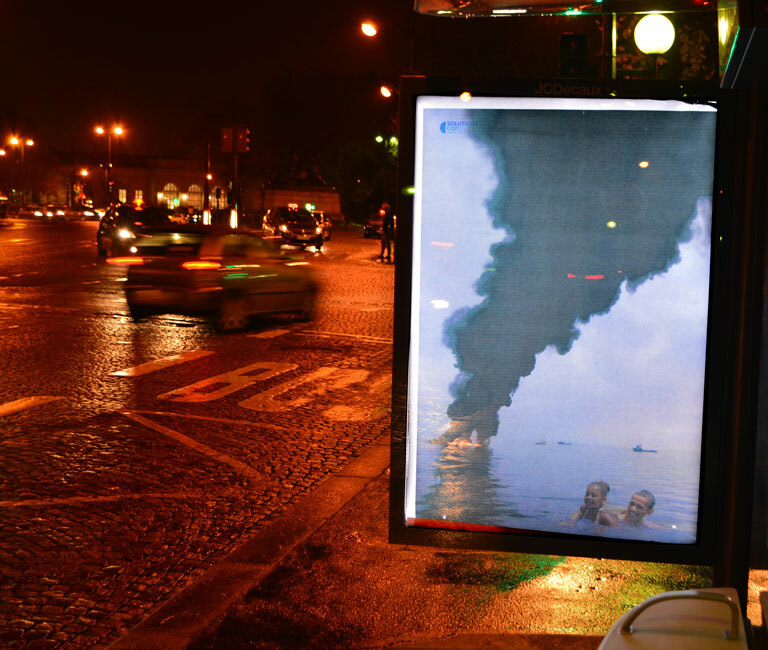 Other major polluters including energy companies, car manufacturers and banks were also sponsors as multinational corporations greenwash their brands whilst the world’s press and news cameras pay attention. 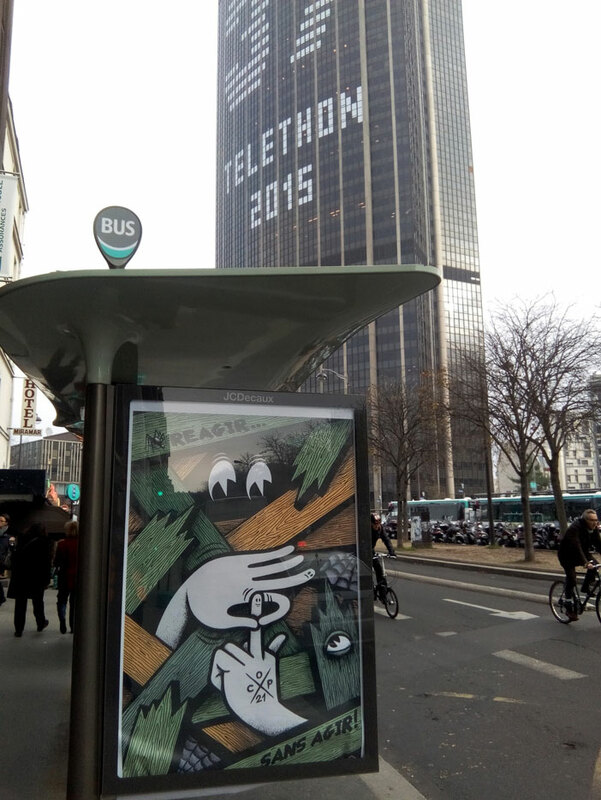 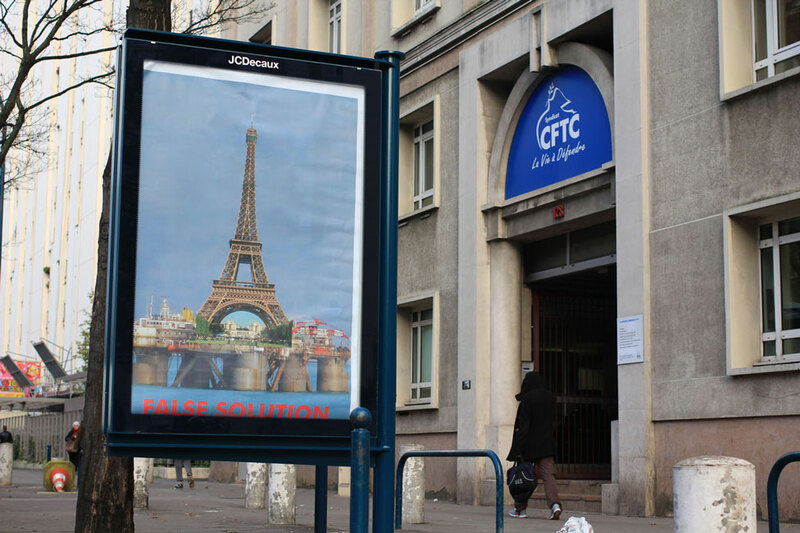 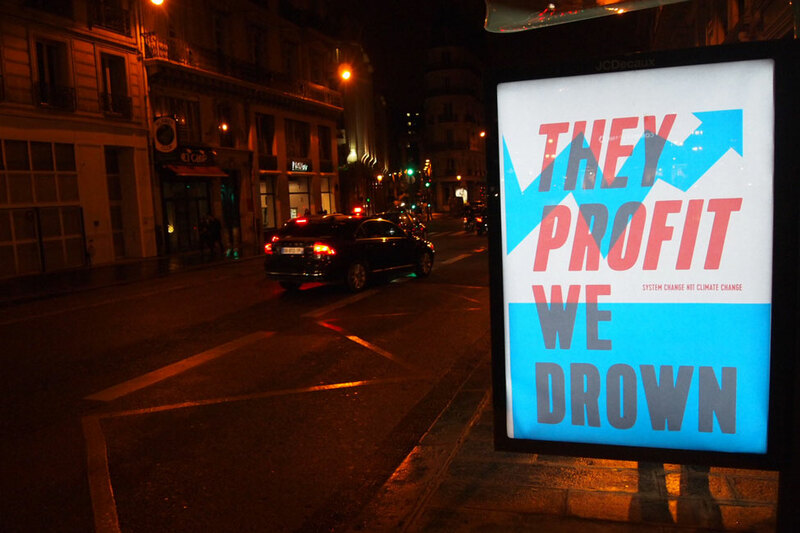 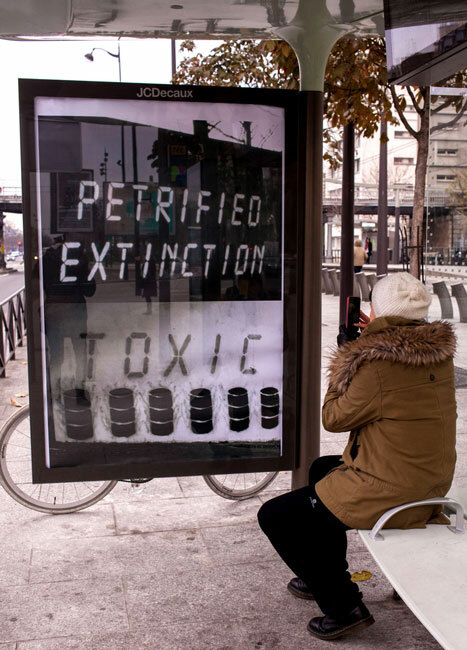 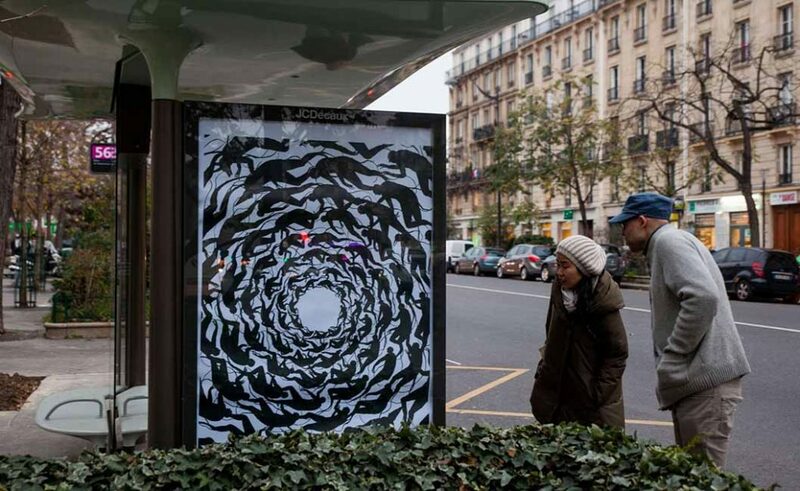 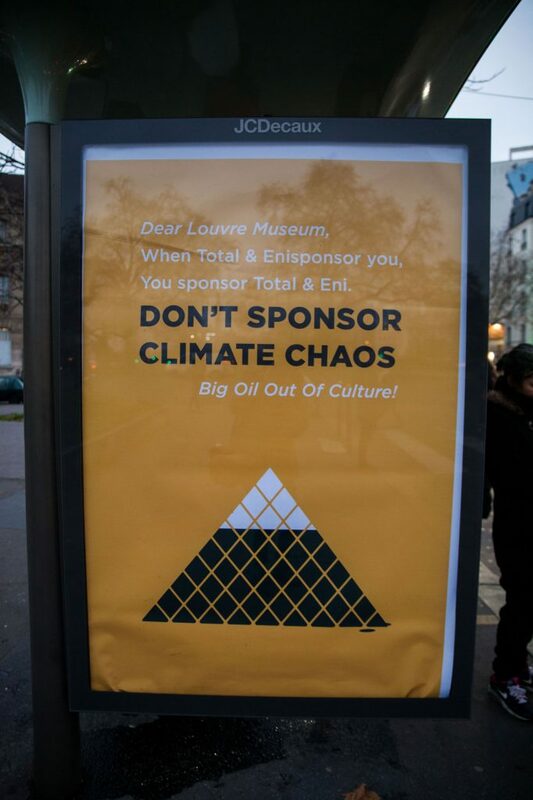 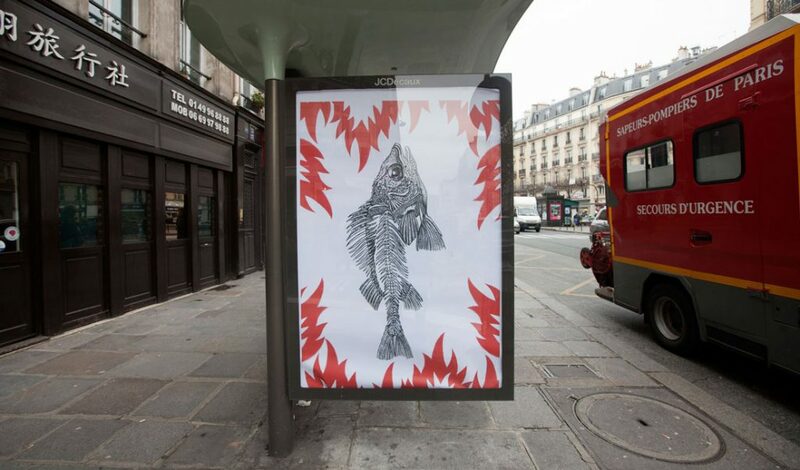 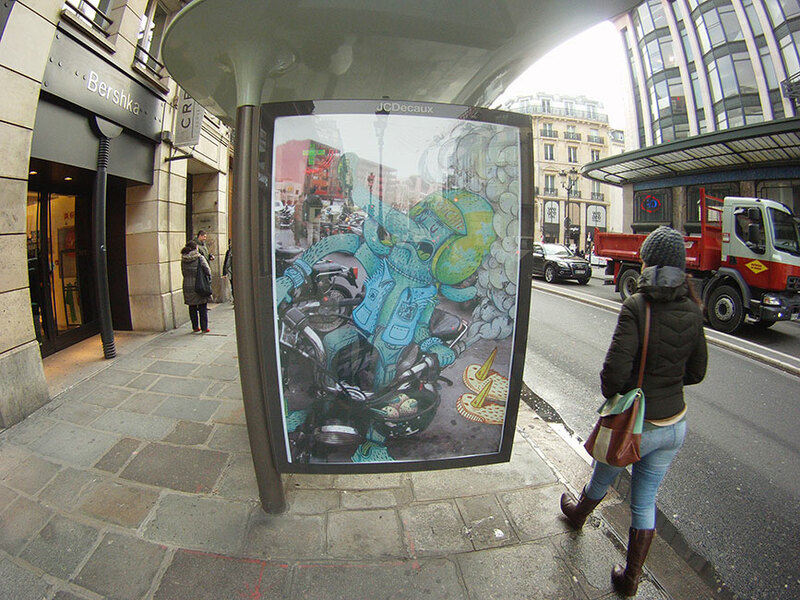 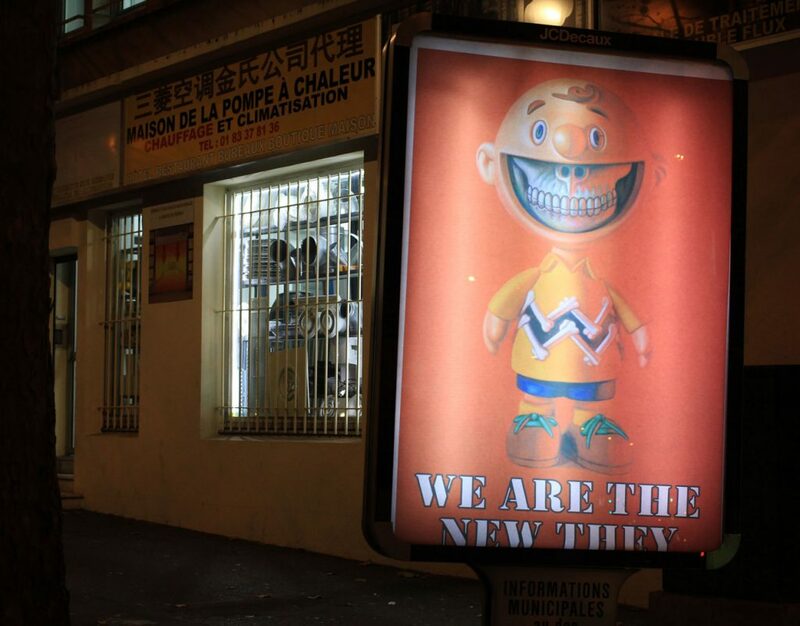 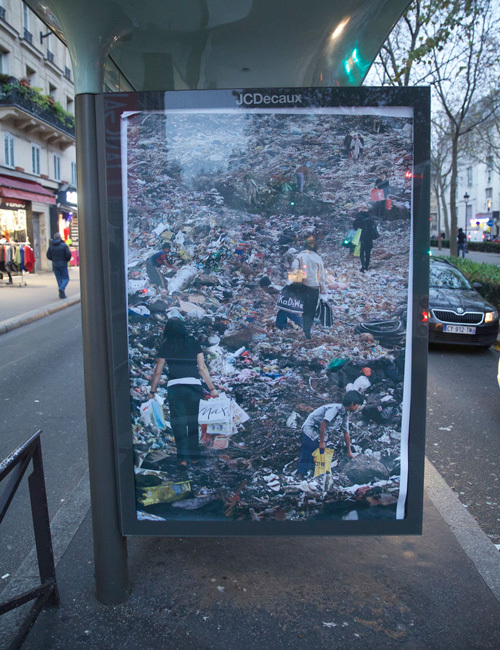 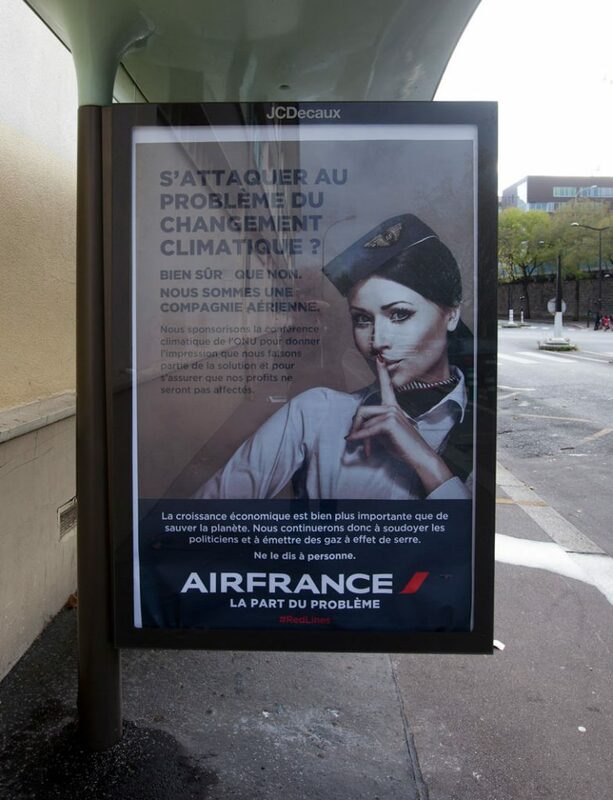 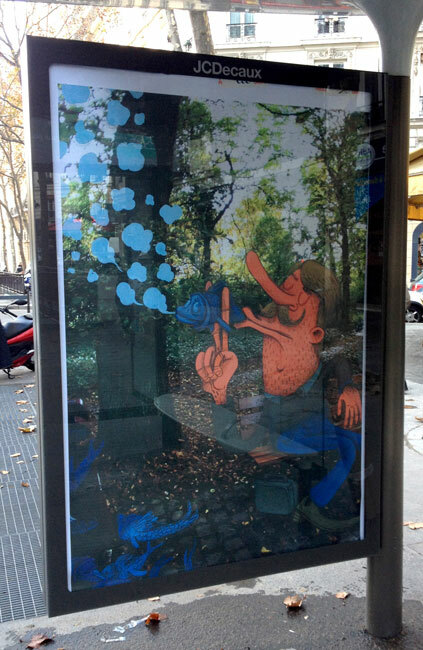 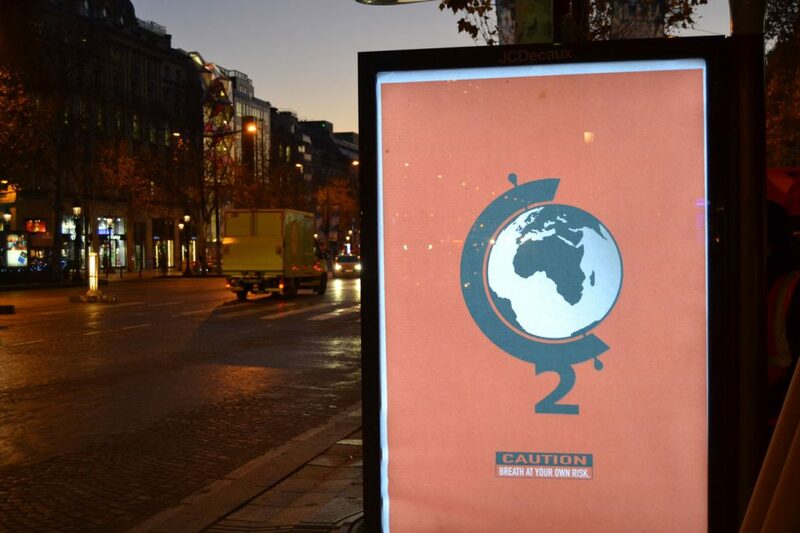 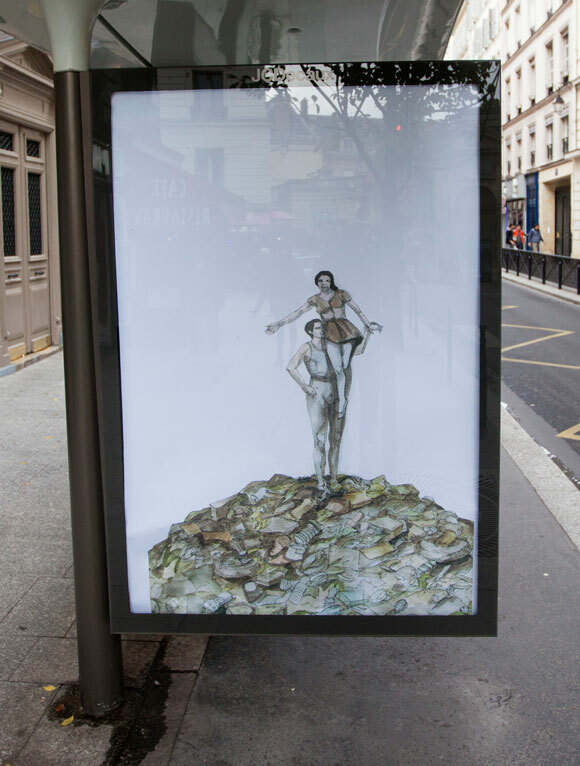 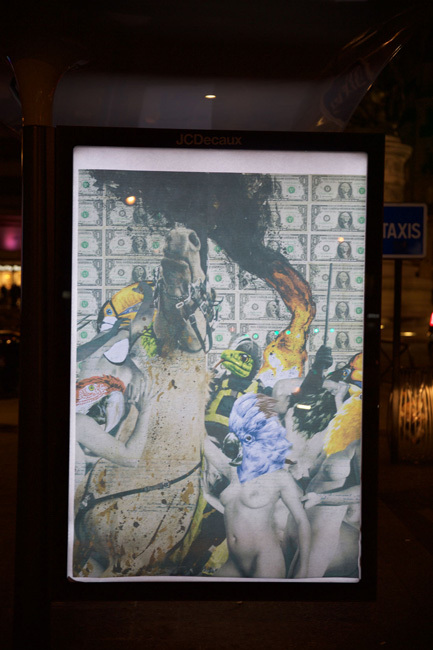 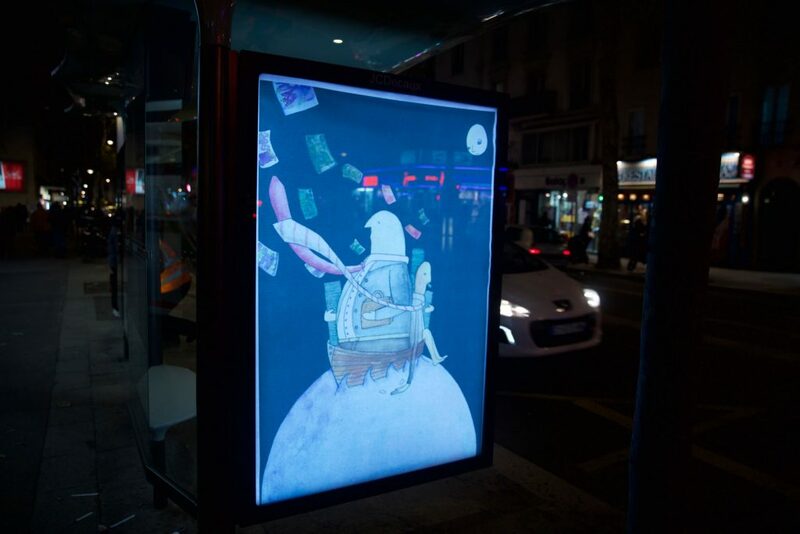 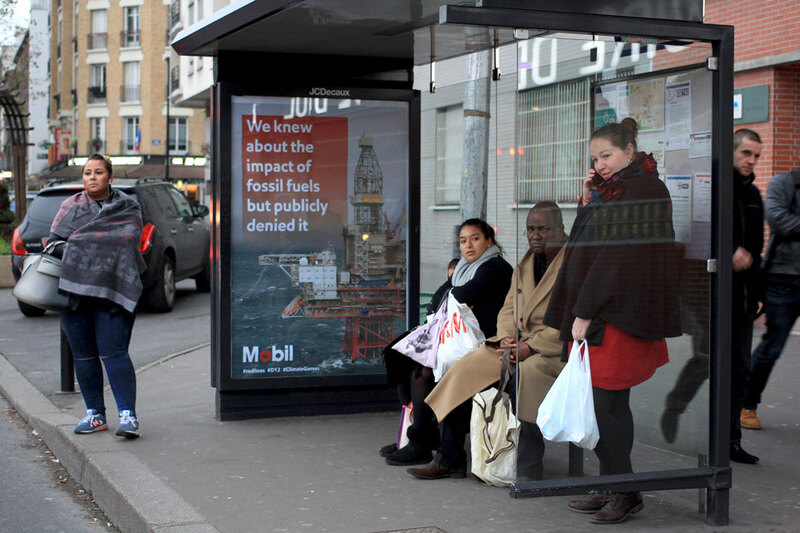 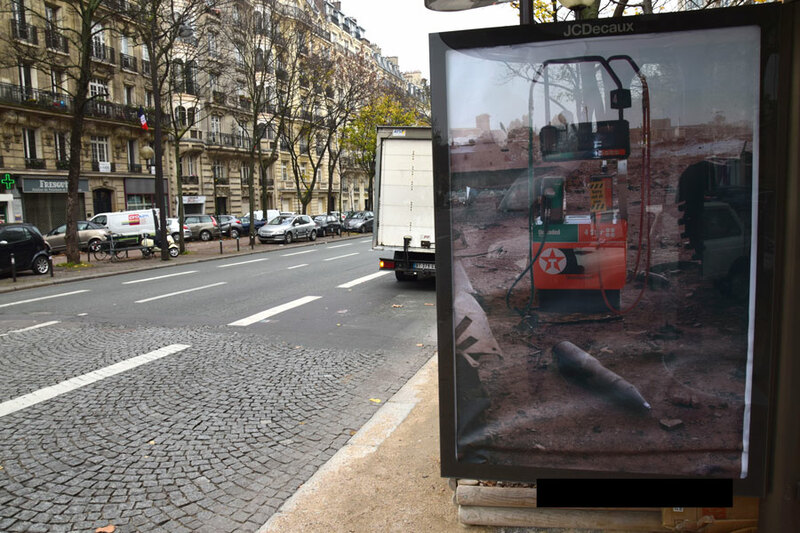 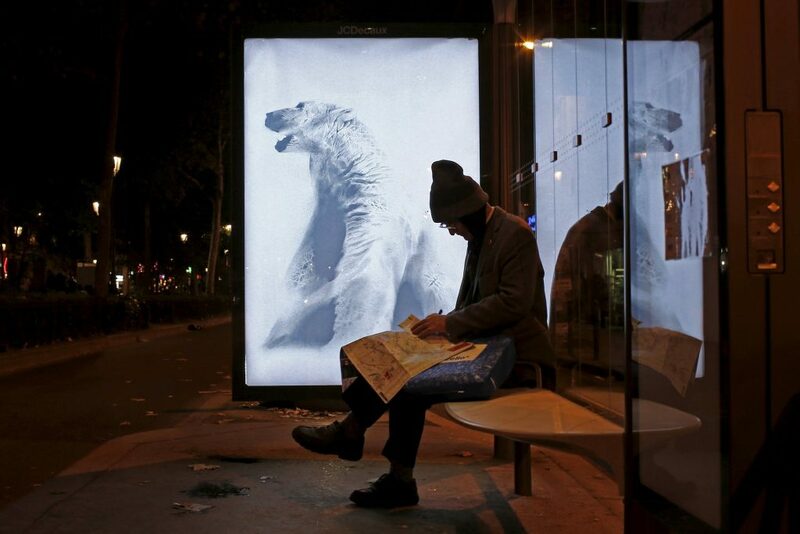 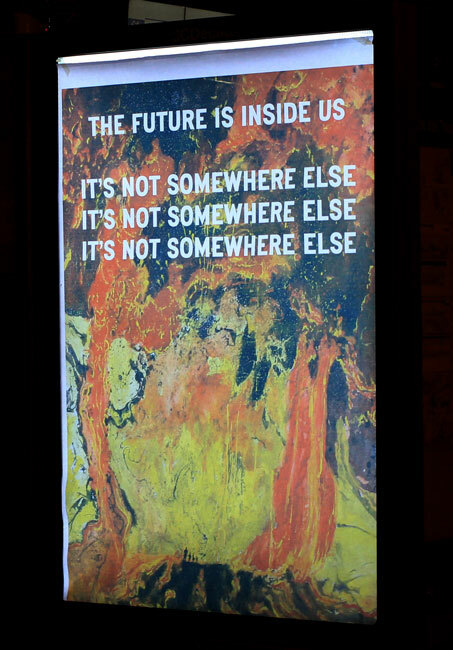 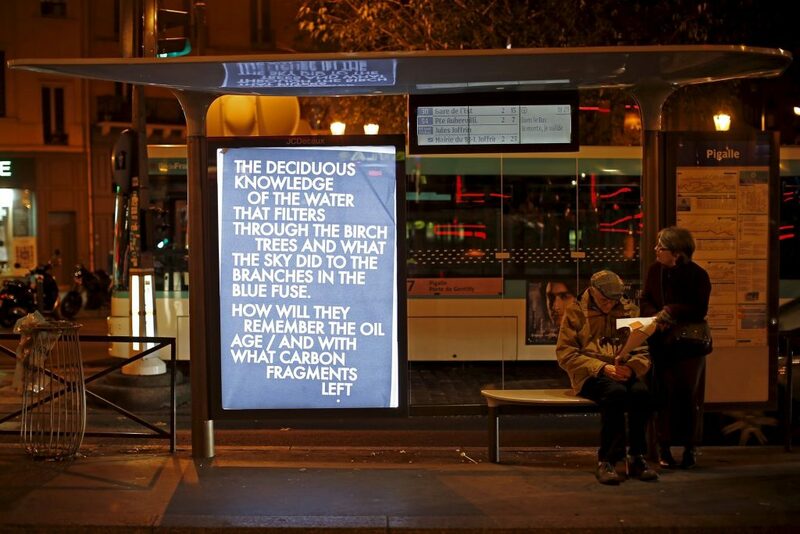 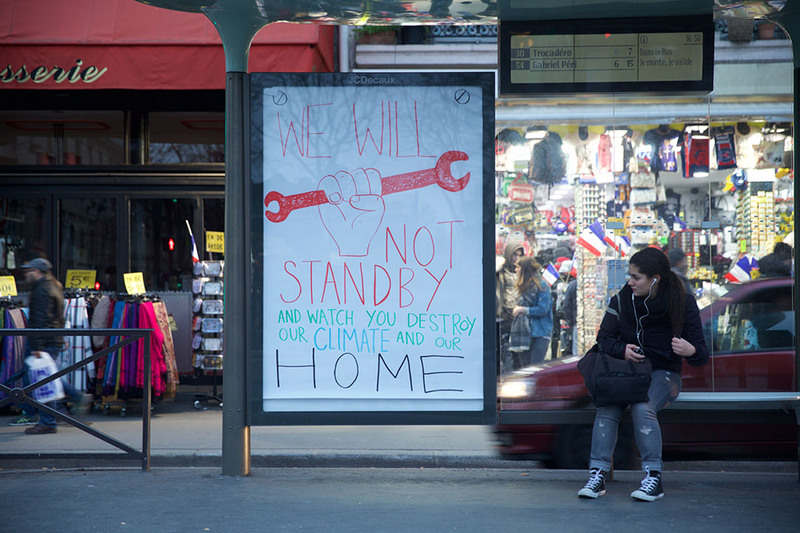 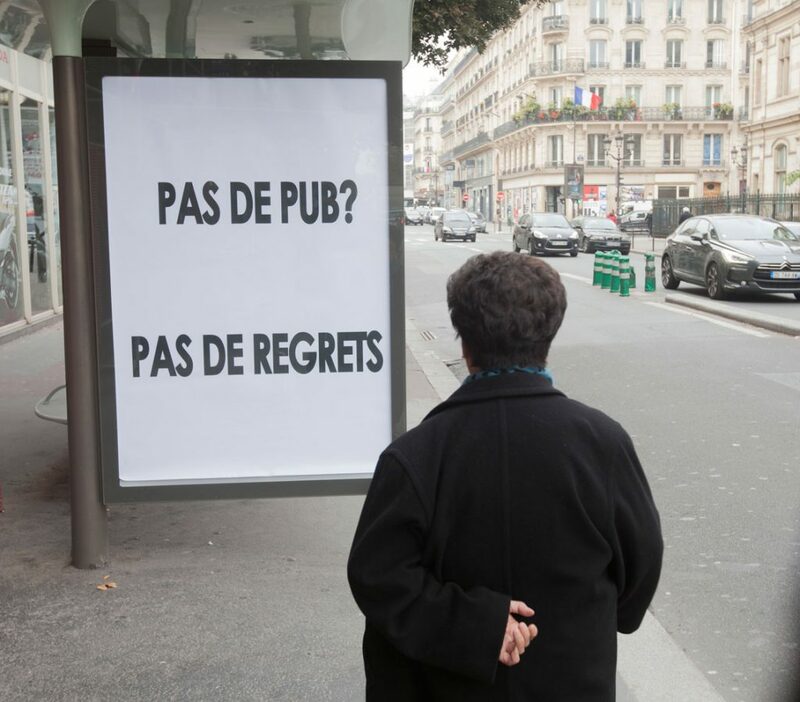 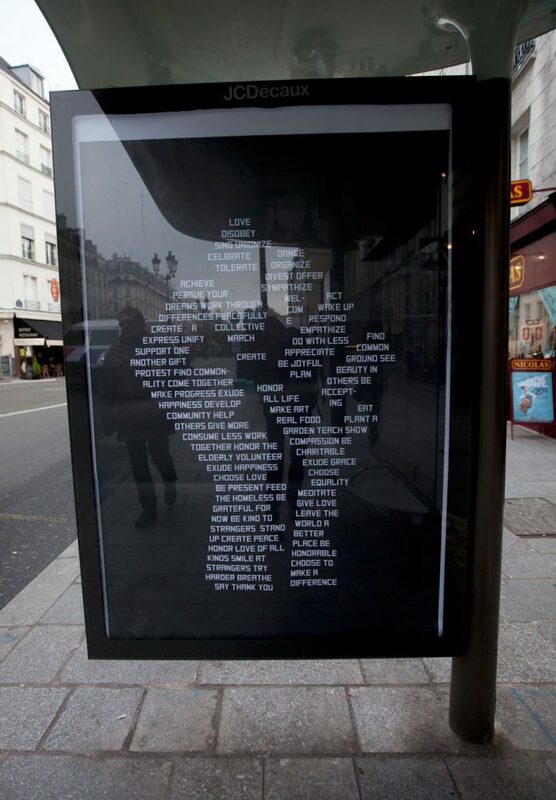 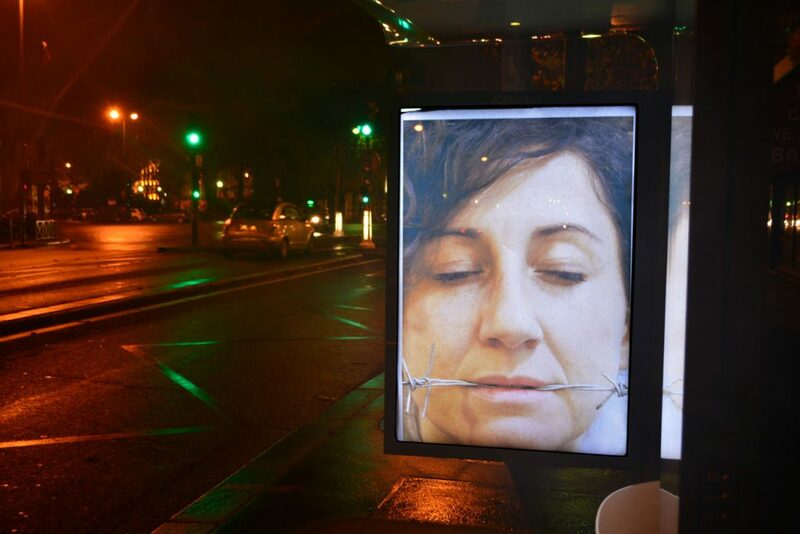 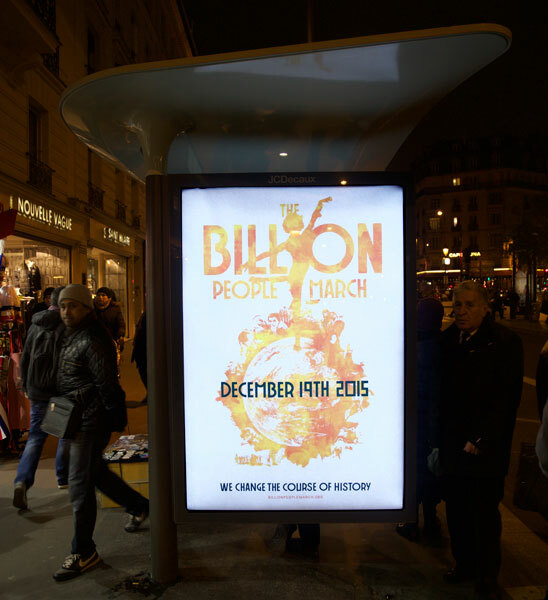 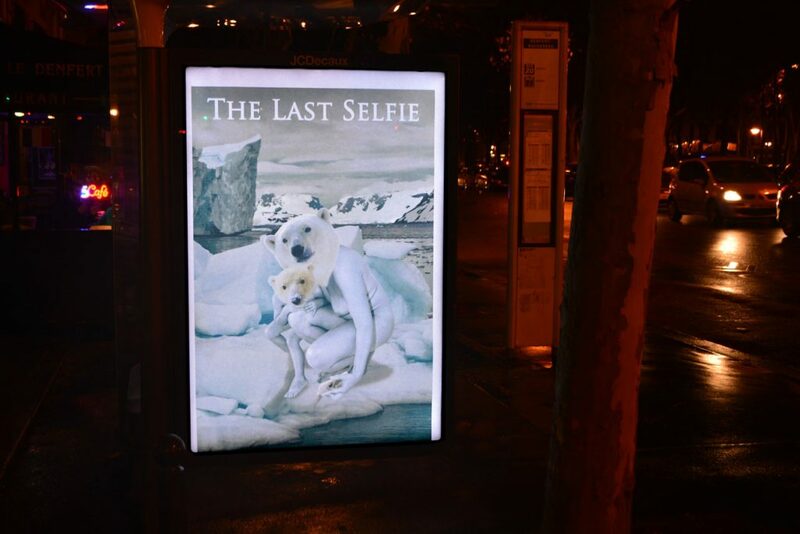 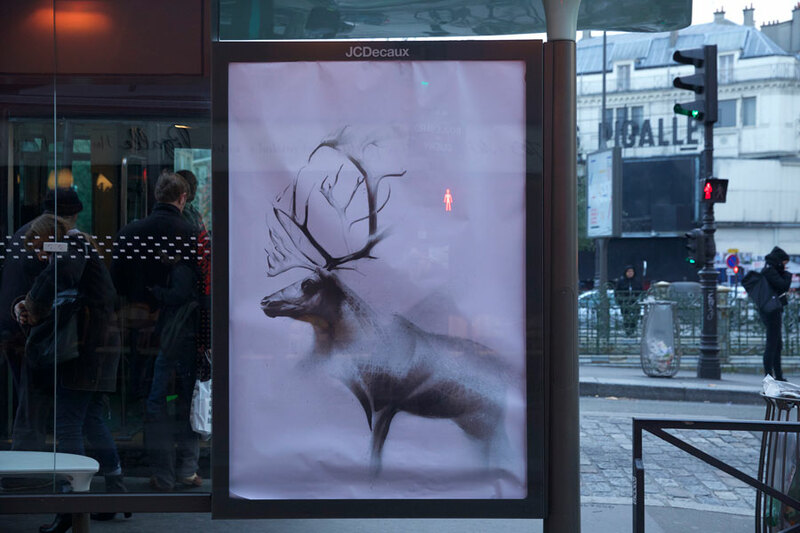 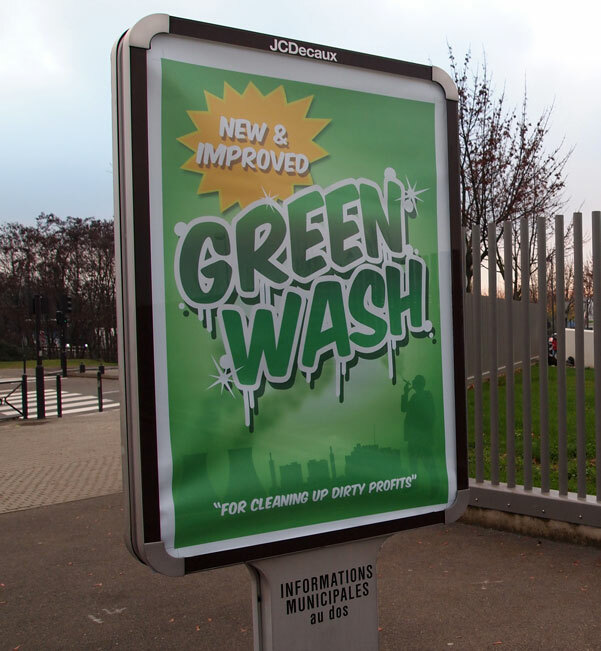 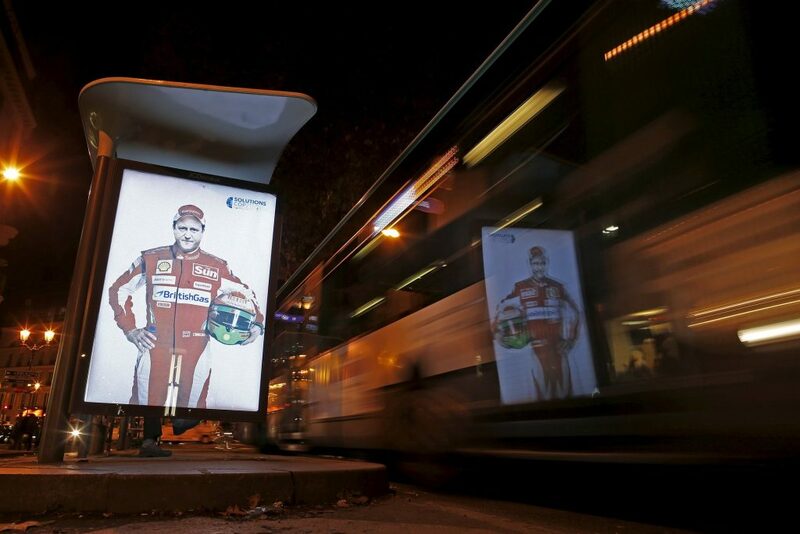 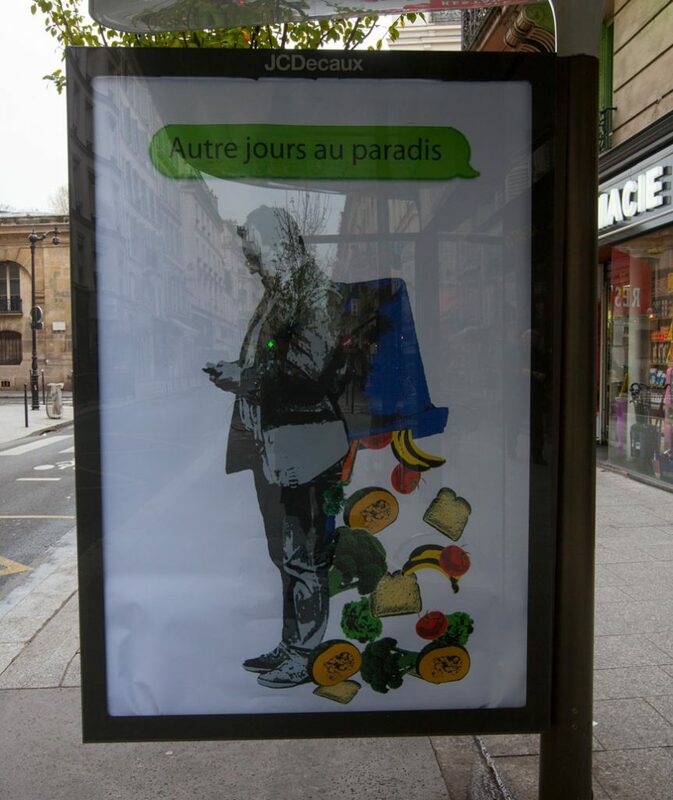 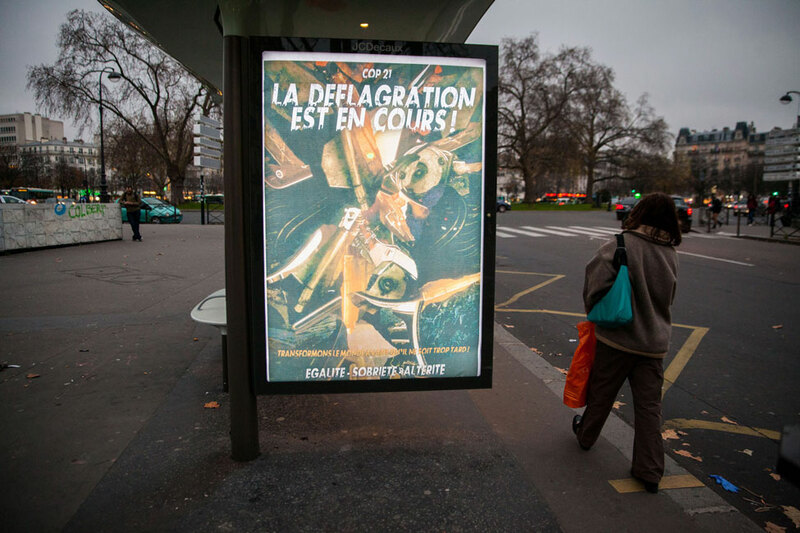 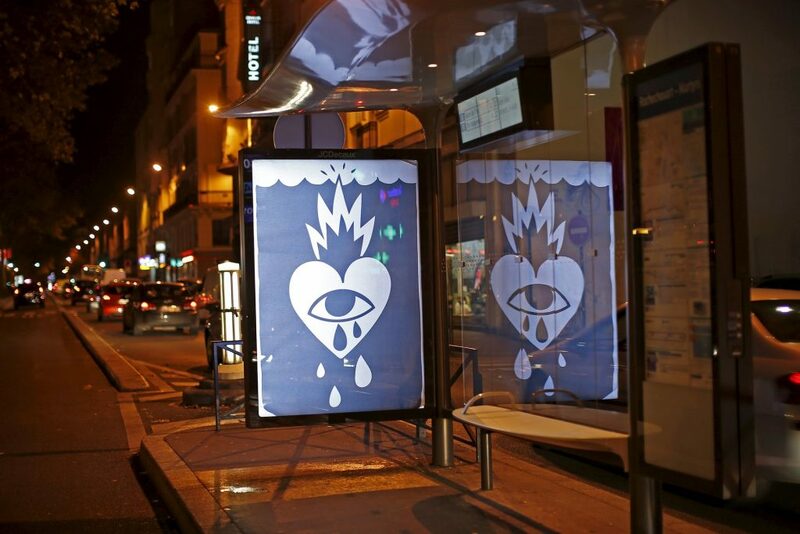 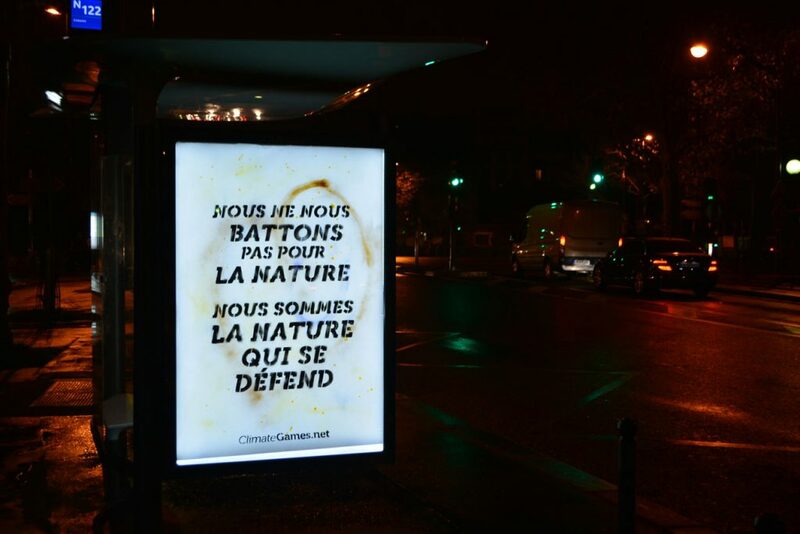 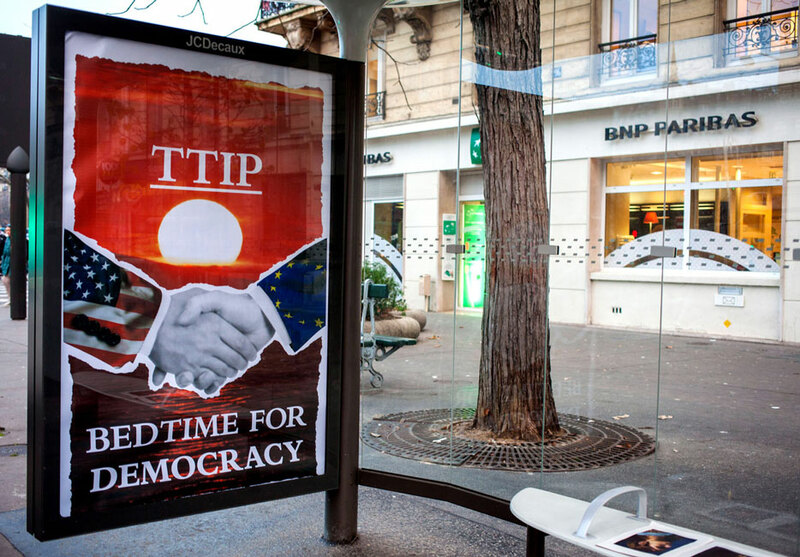 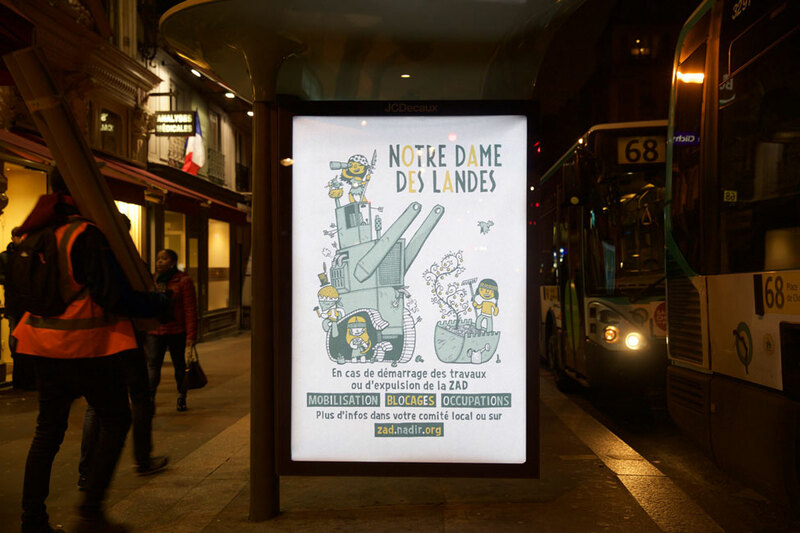 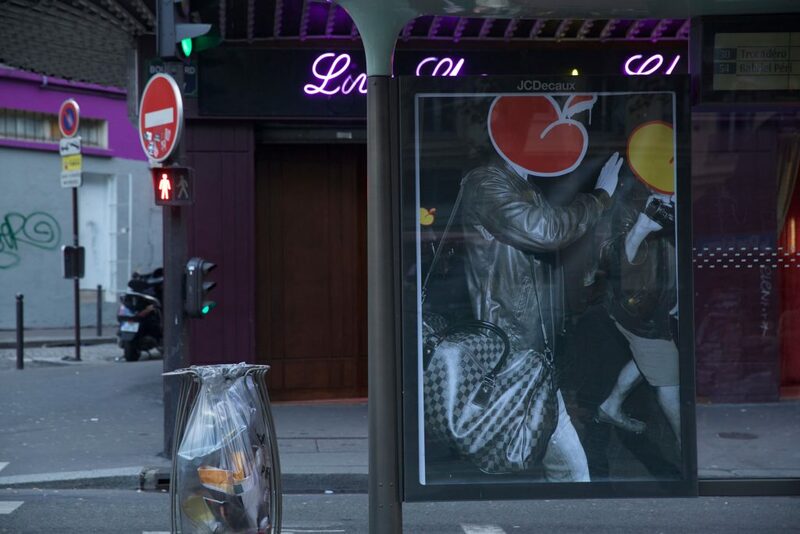 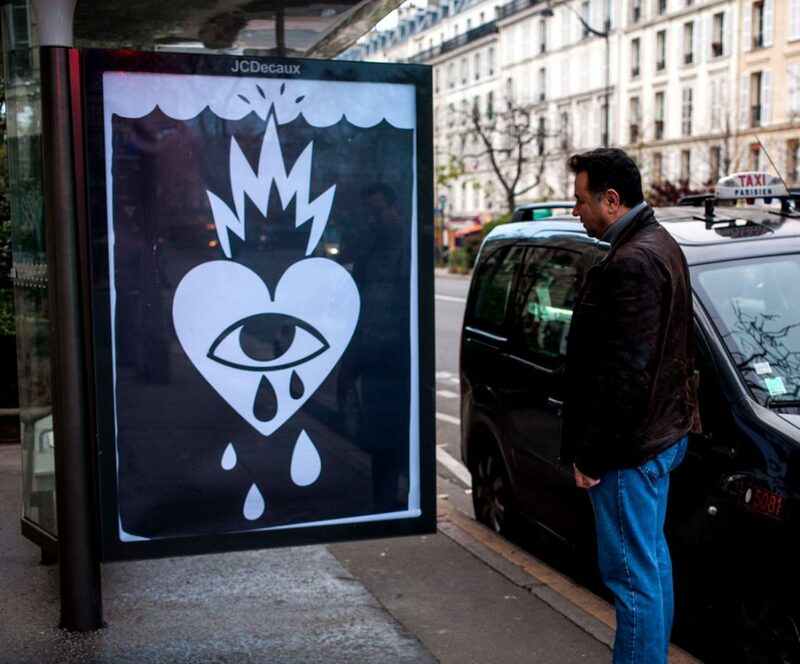 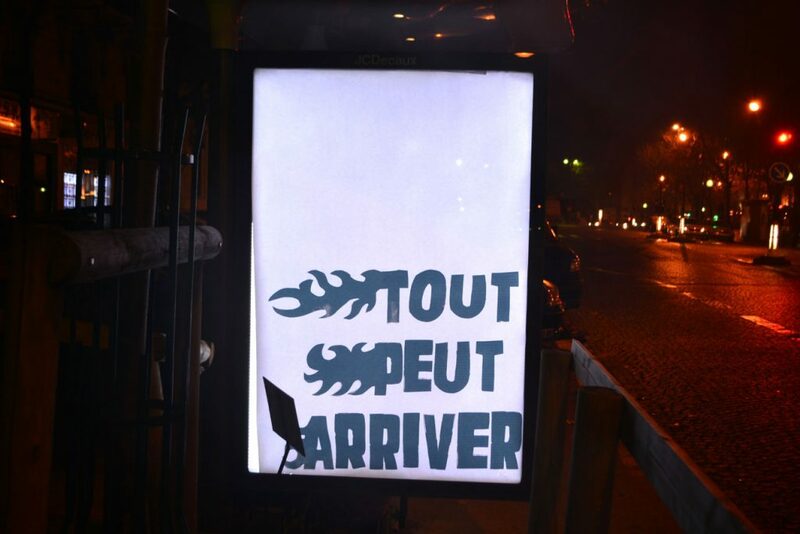 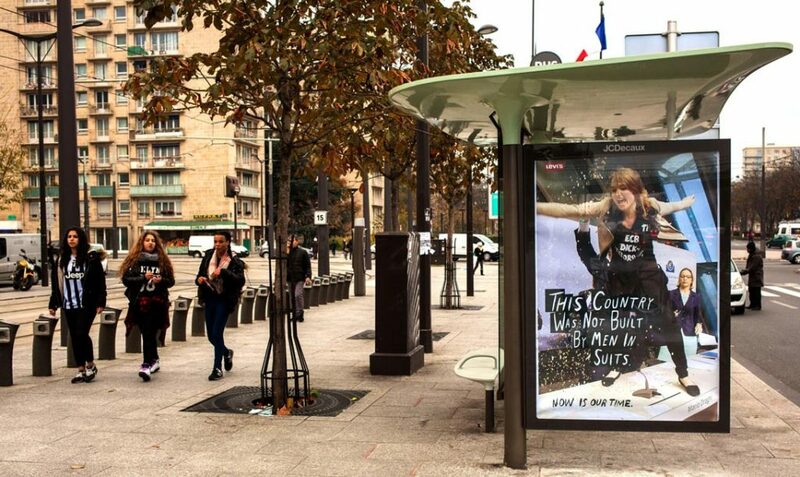 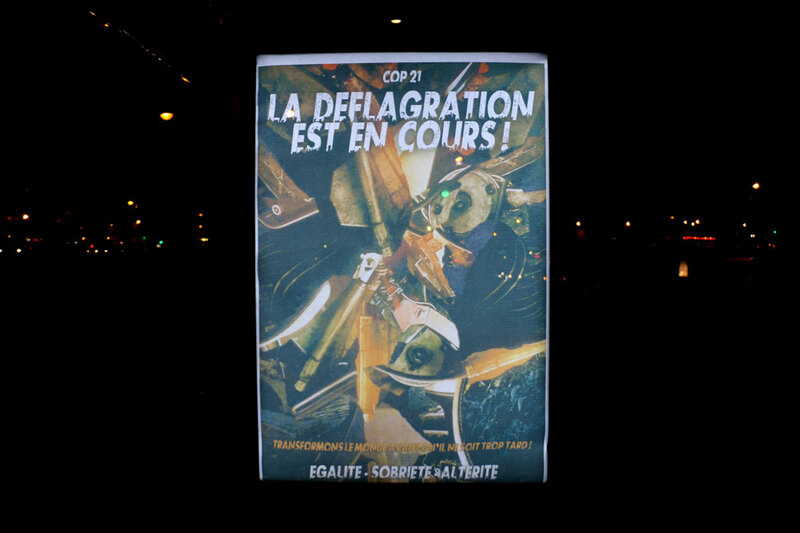 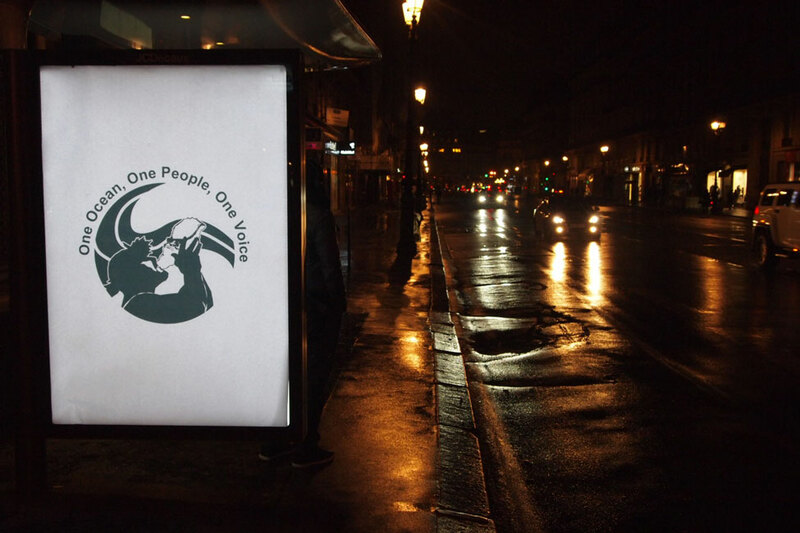 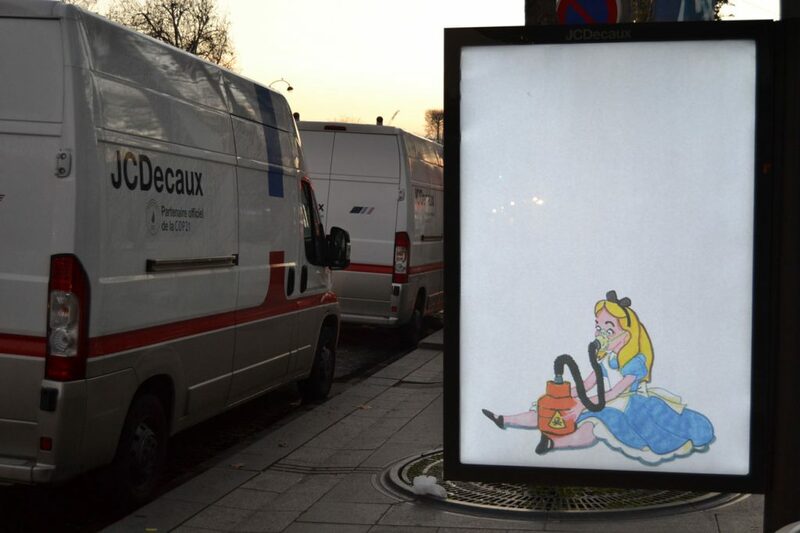 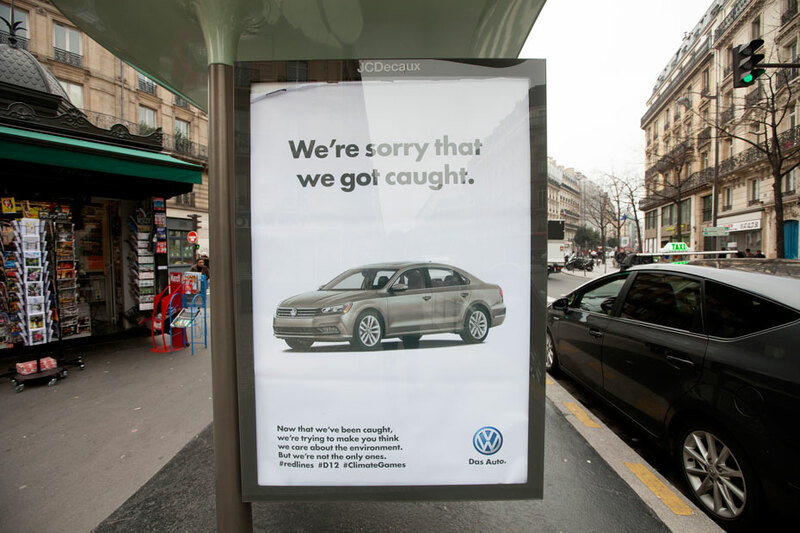 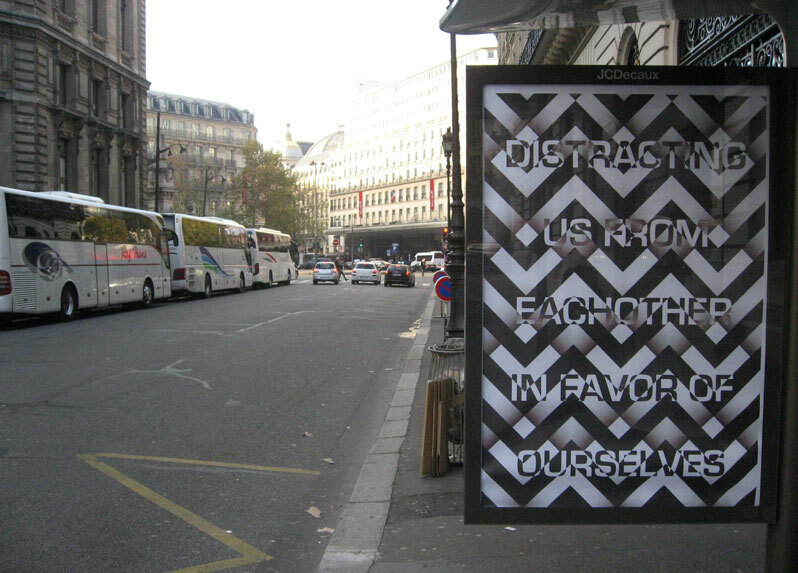 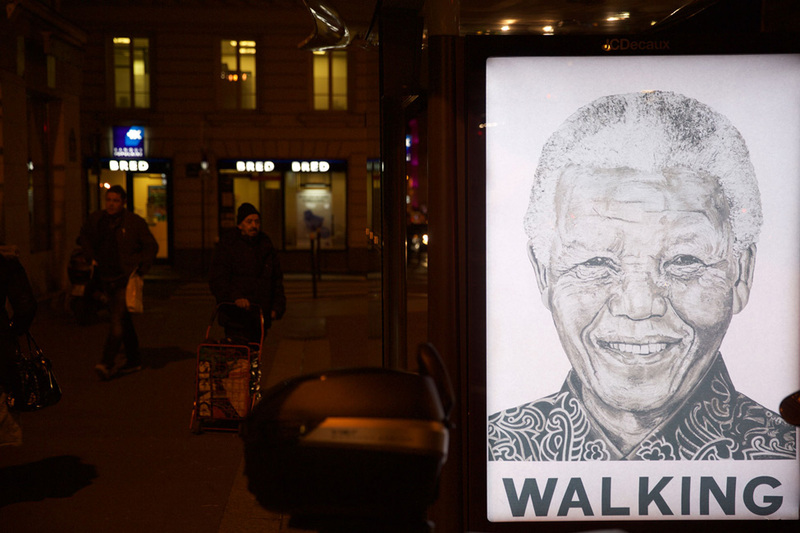 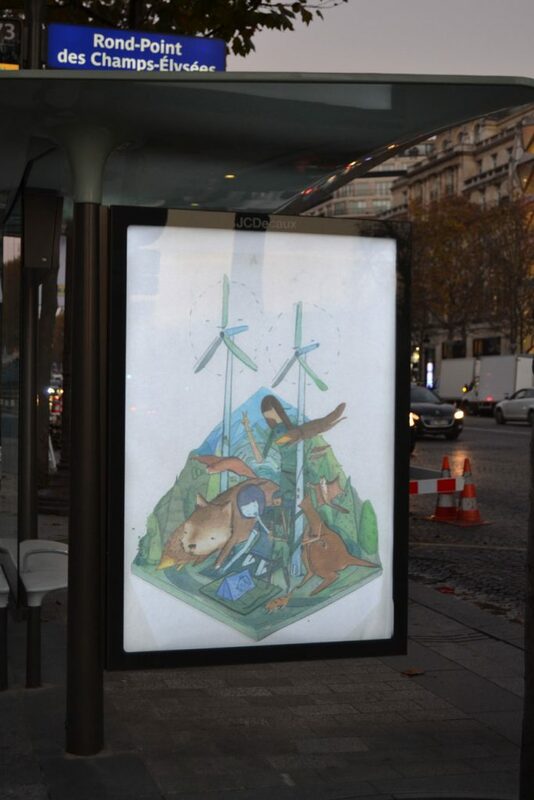 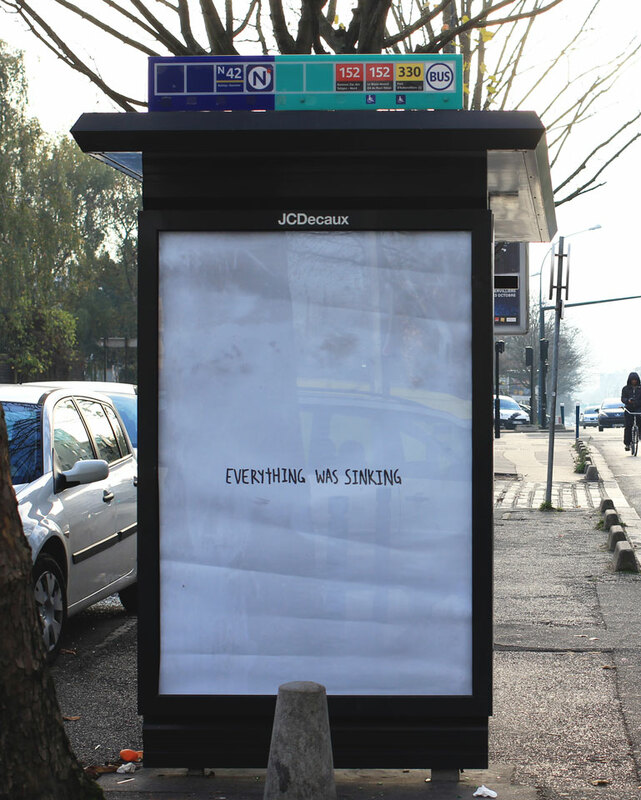 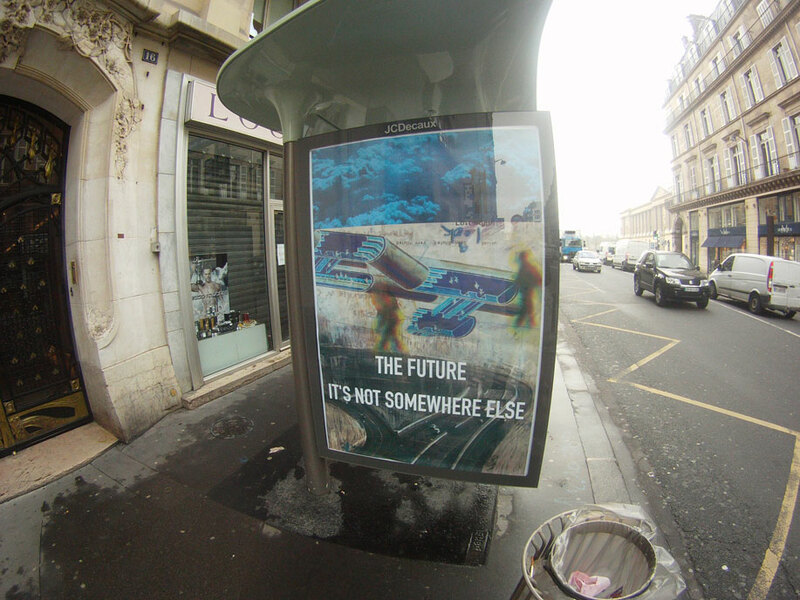 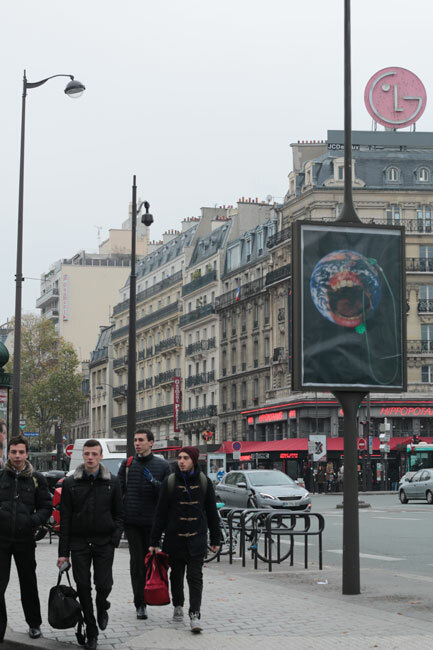 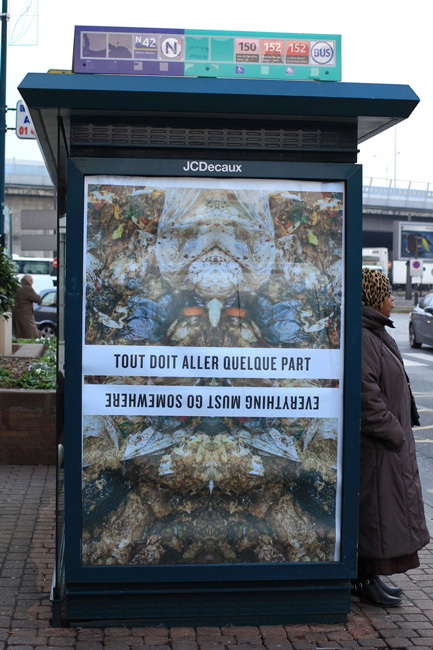 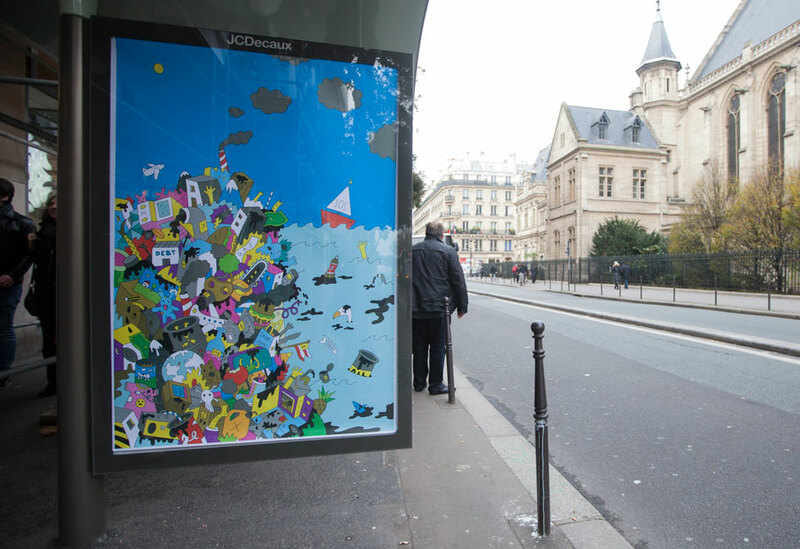 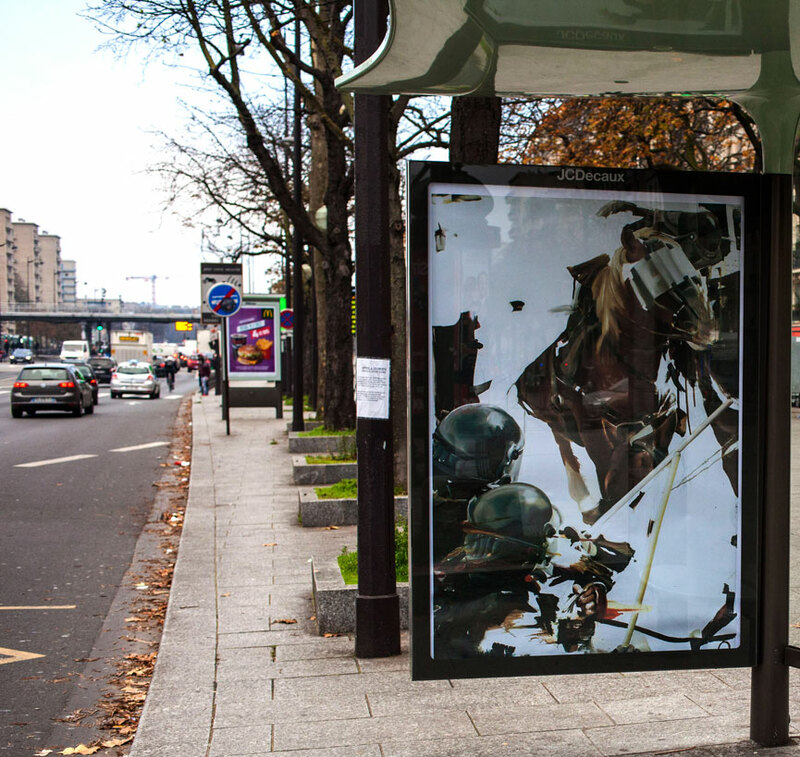 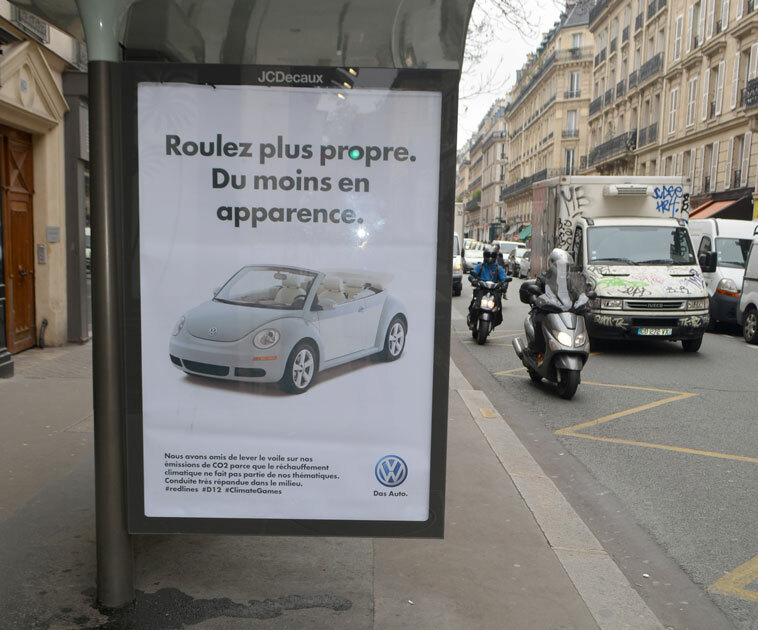 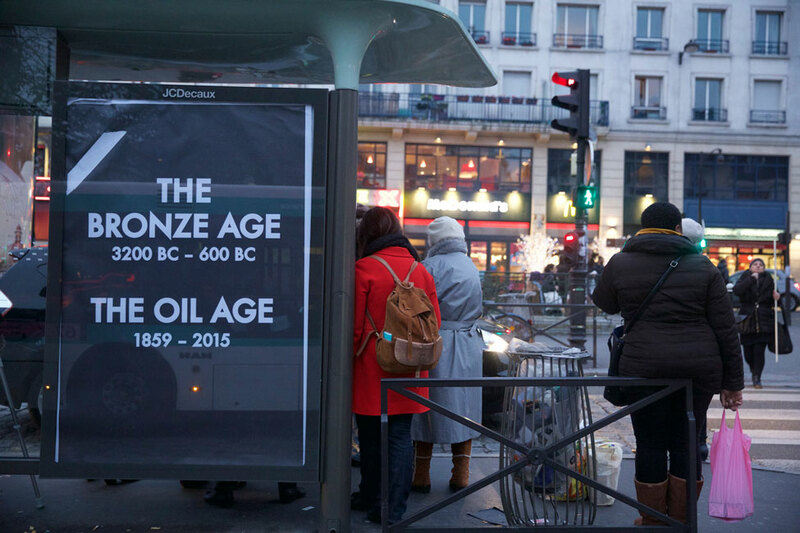 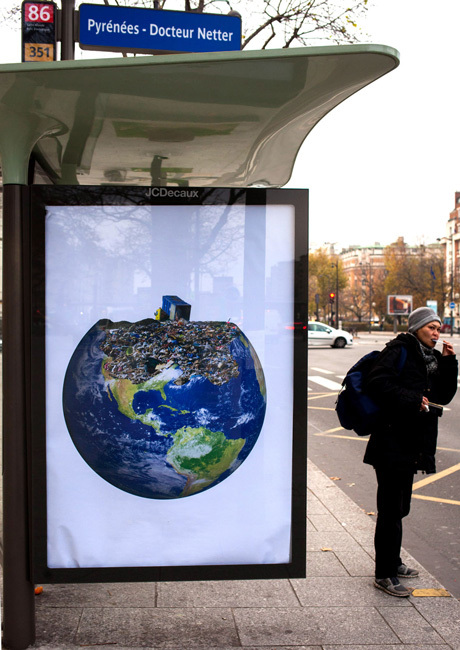 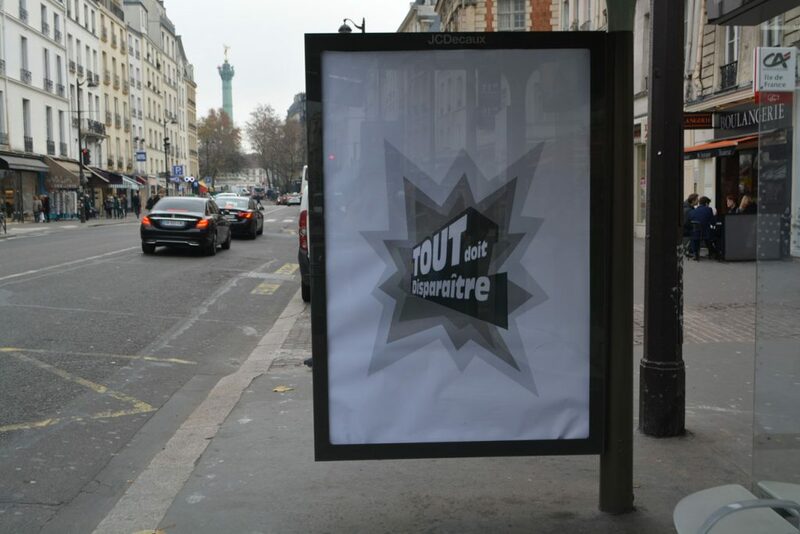 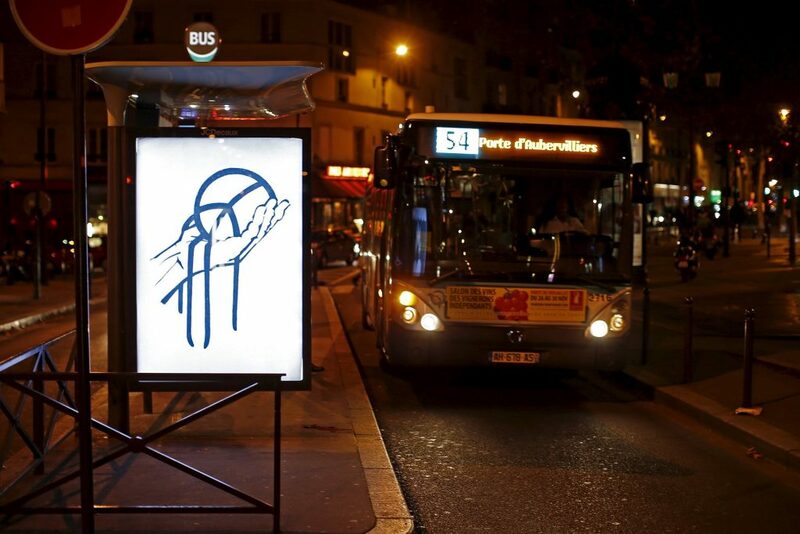 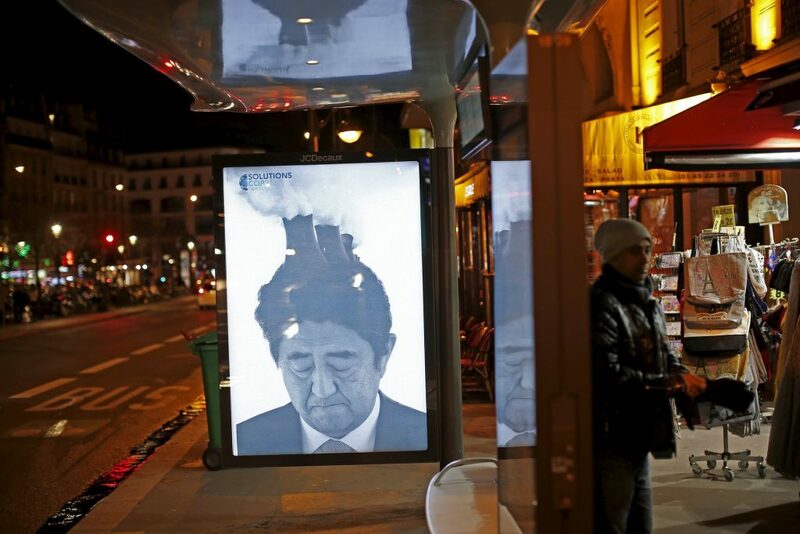 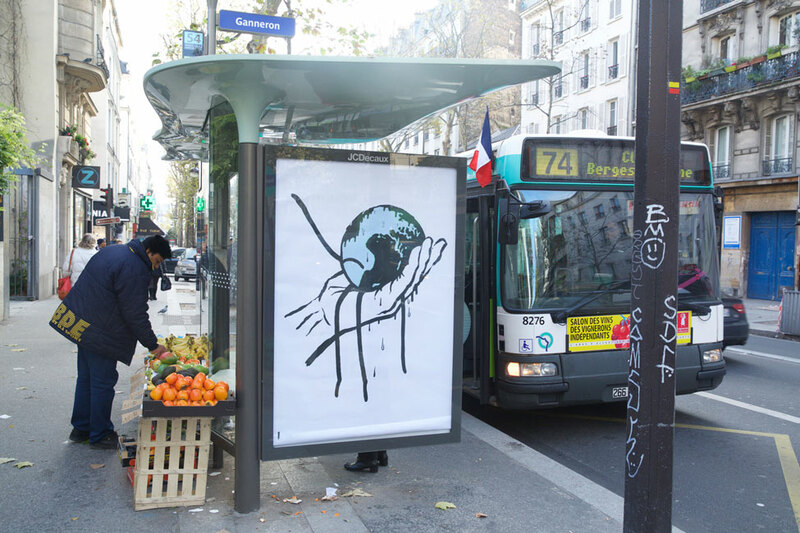 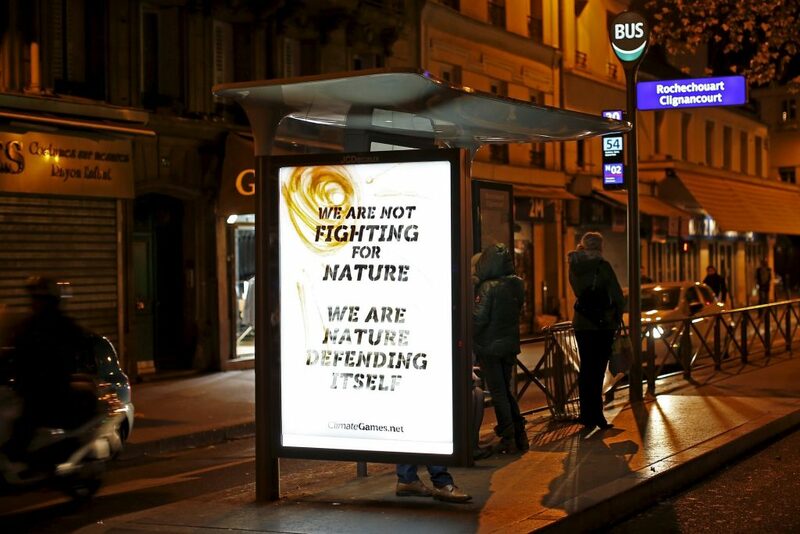 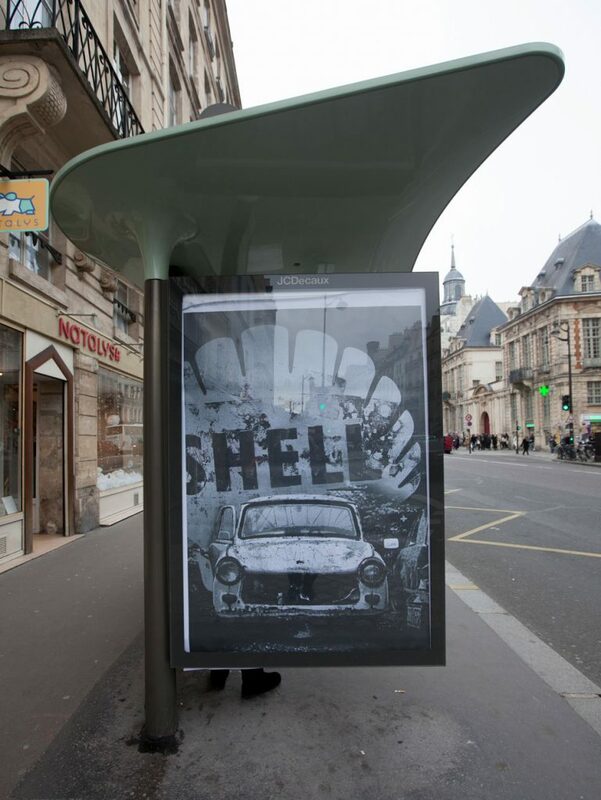 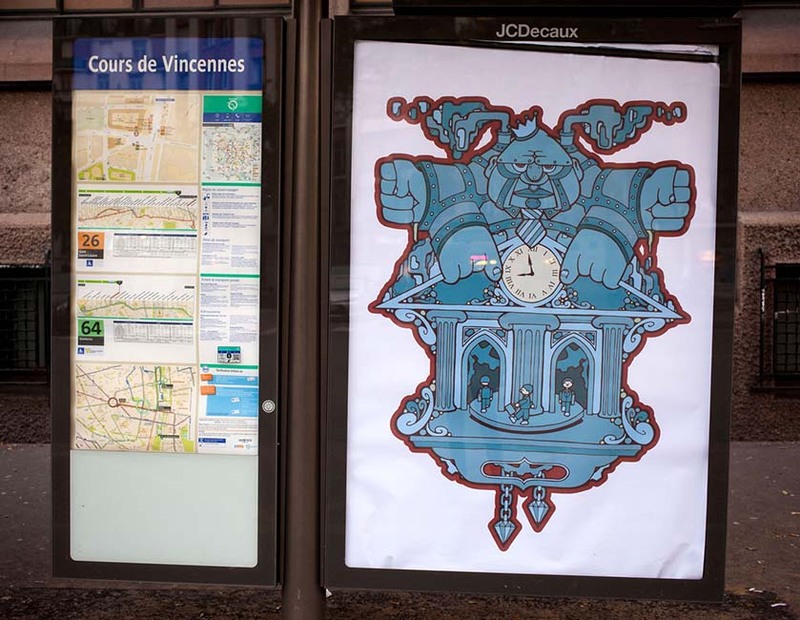 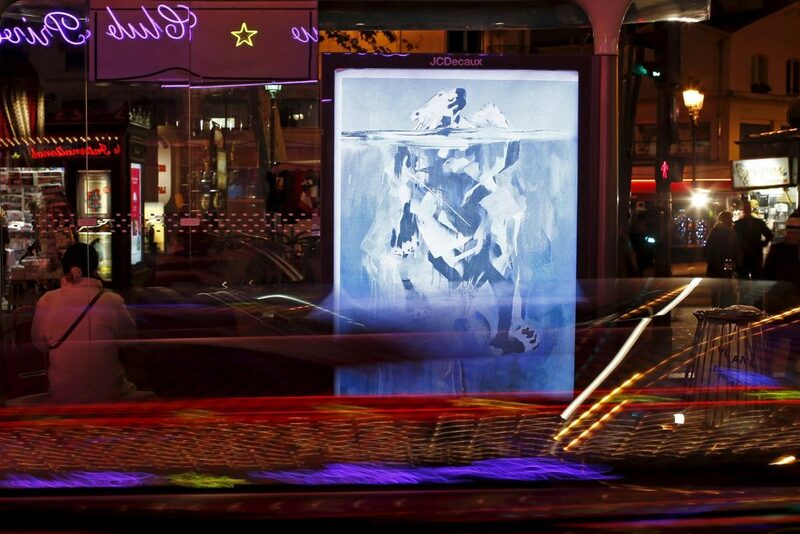 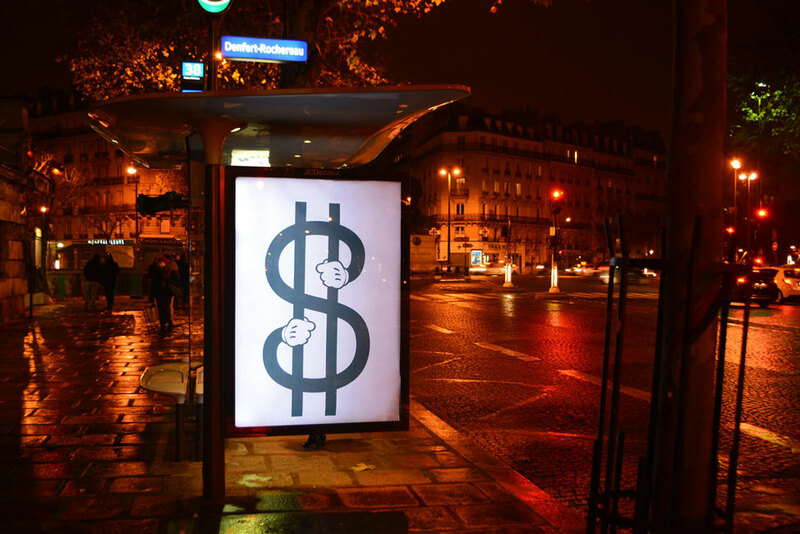 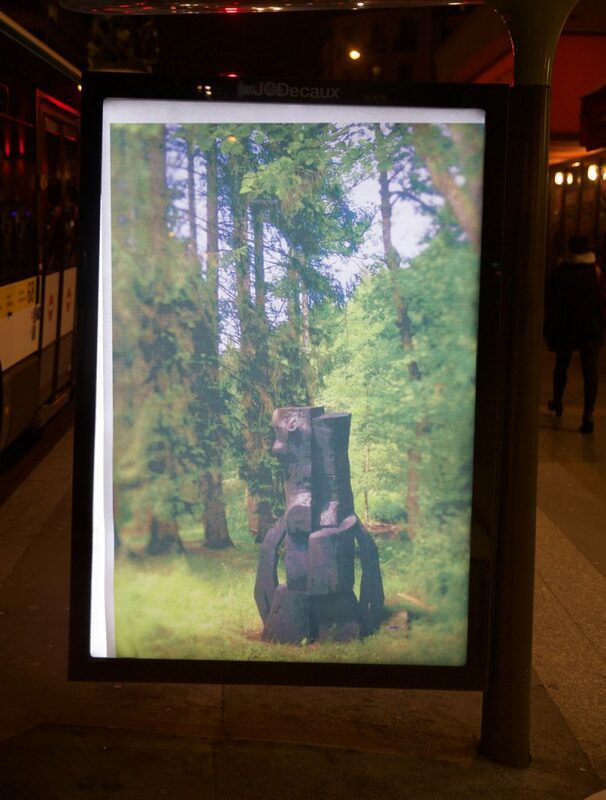 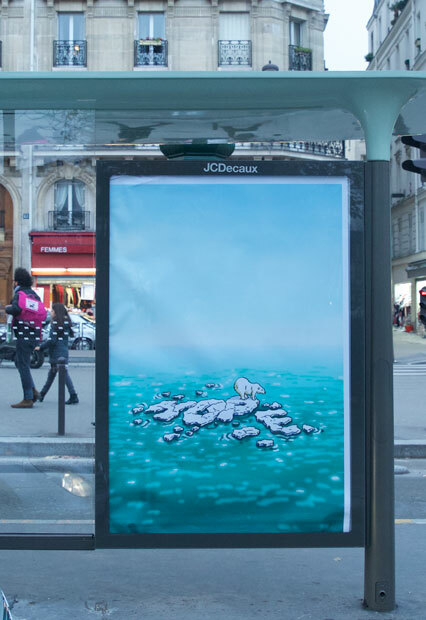 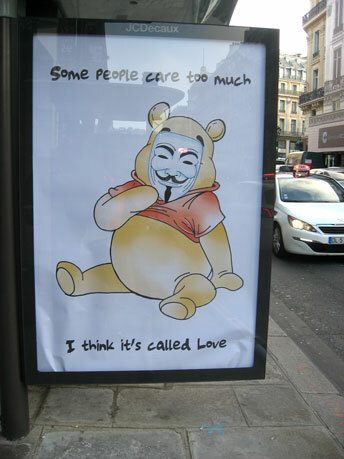 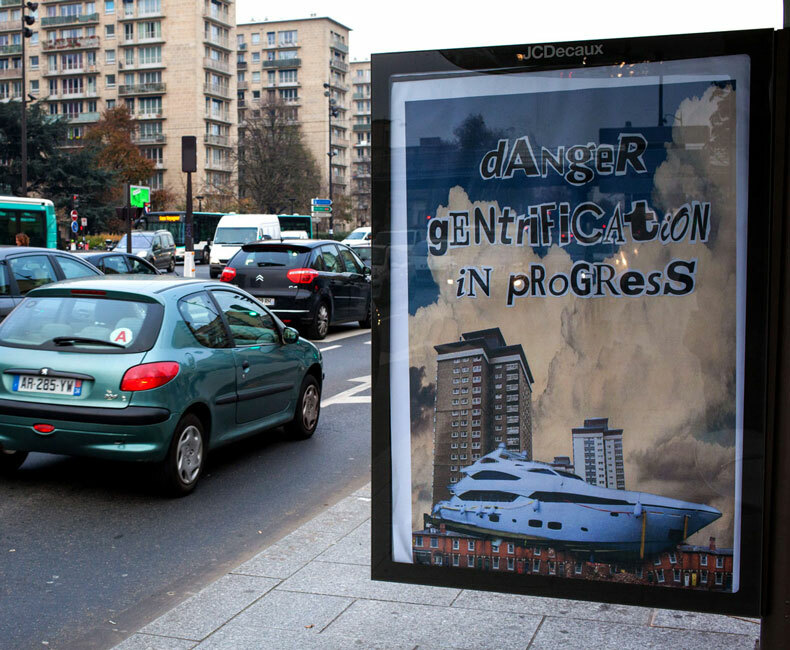 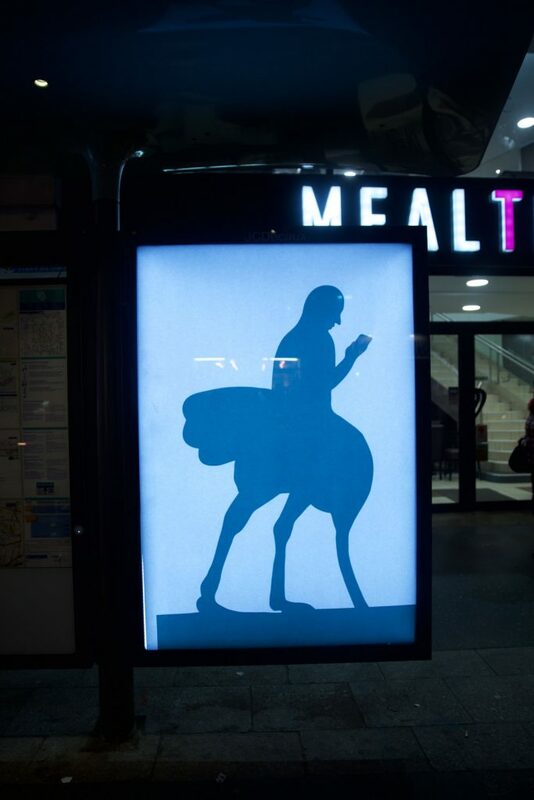 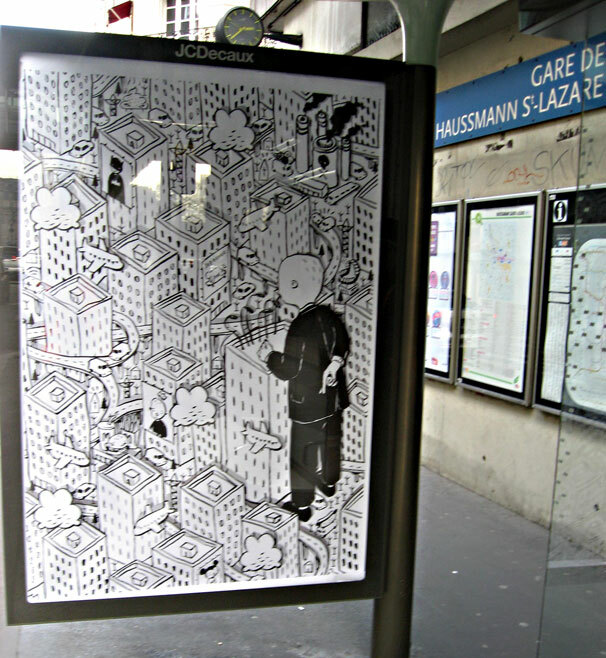 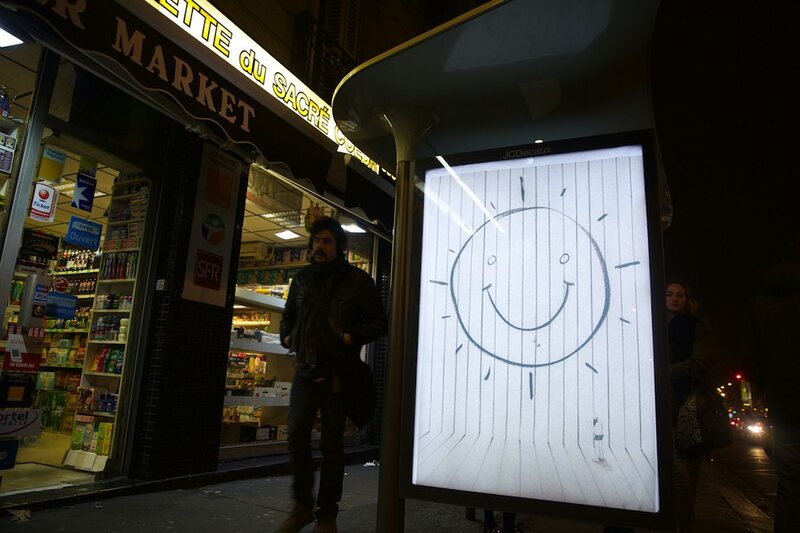 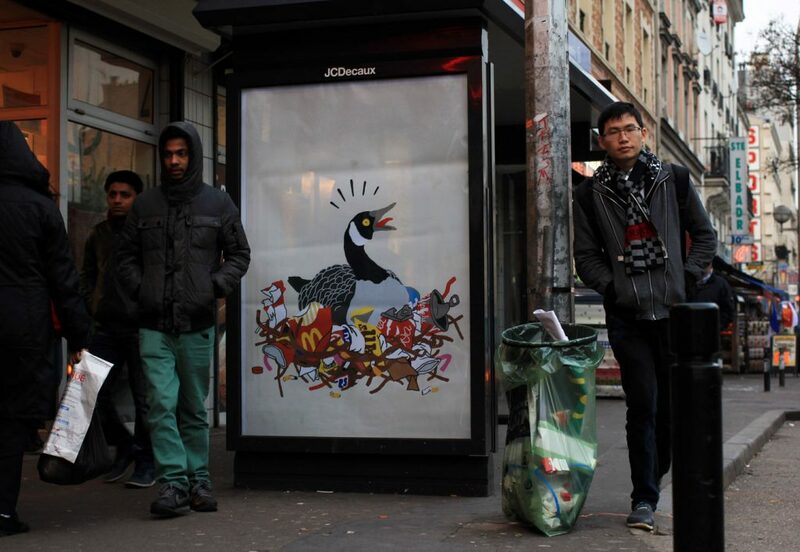 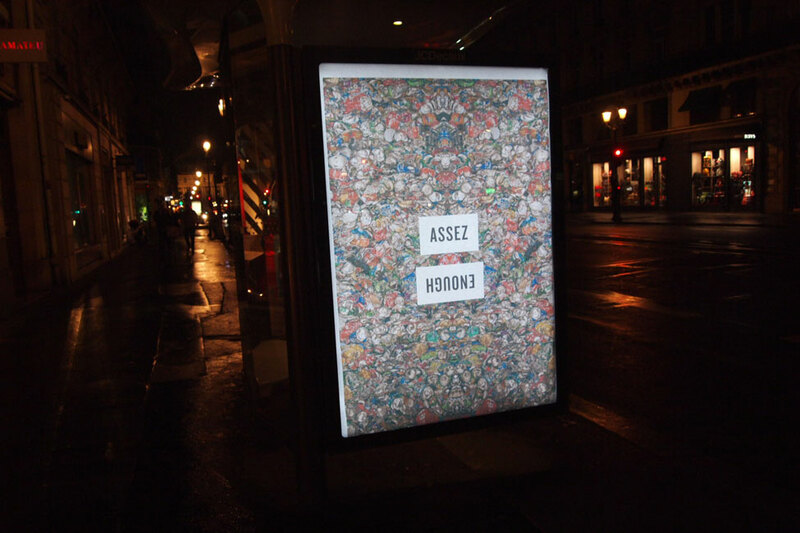 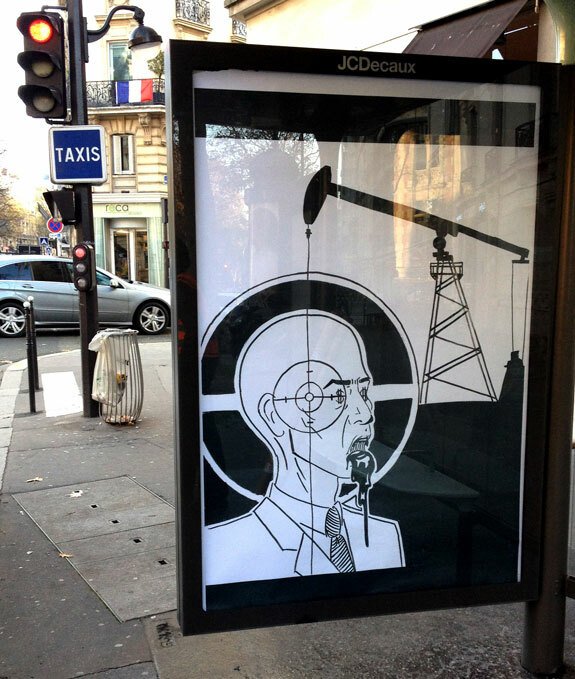 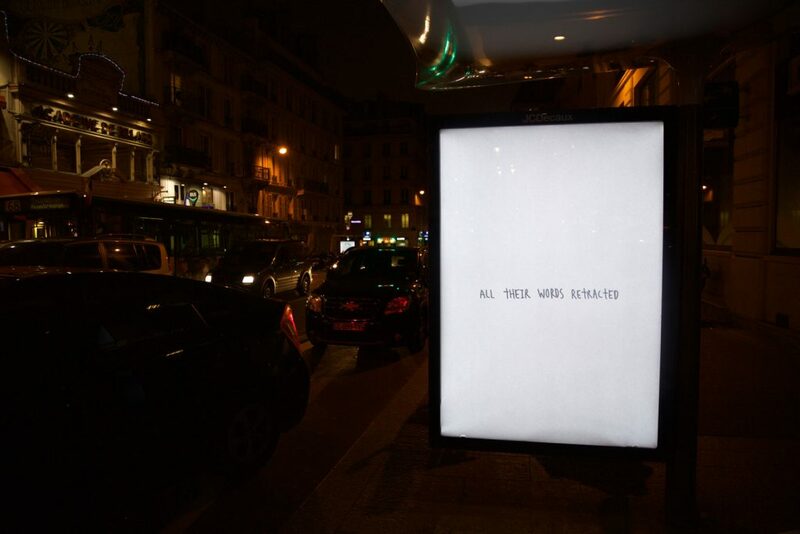 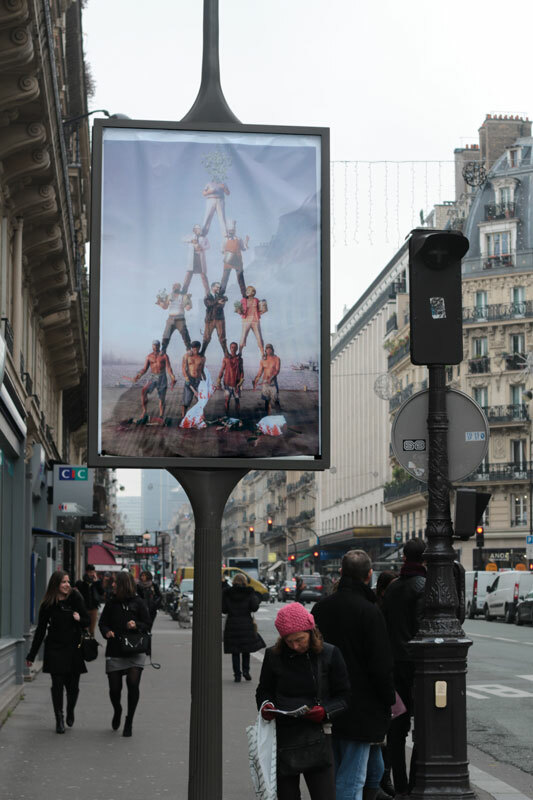 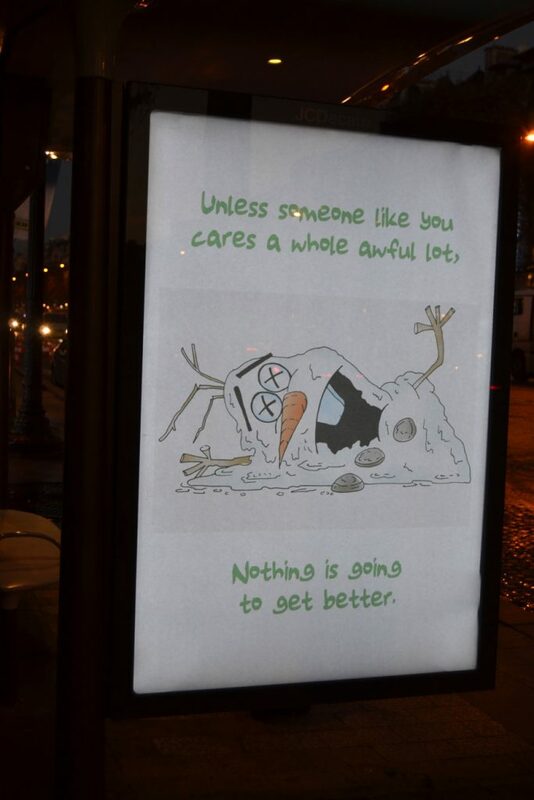 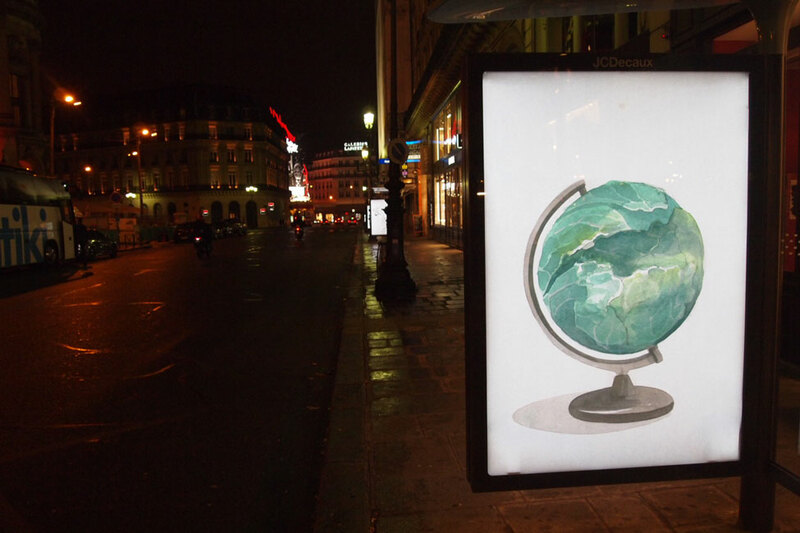 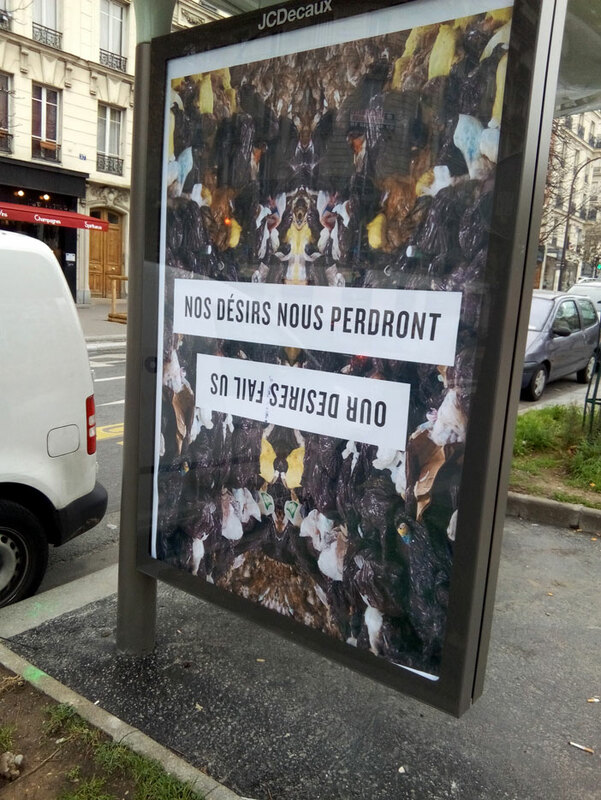 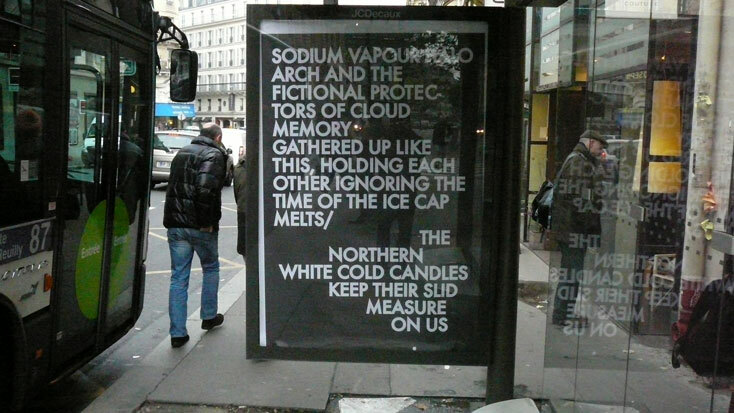 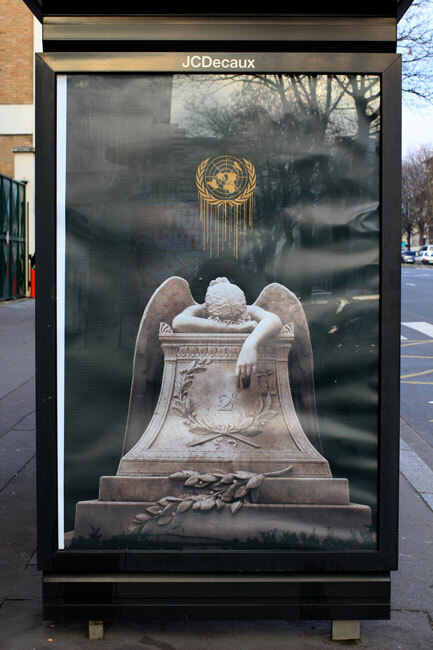 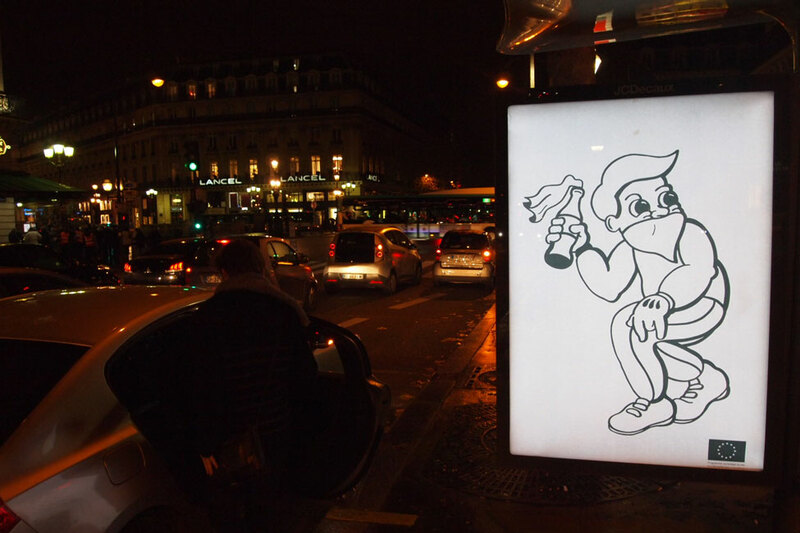 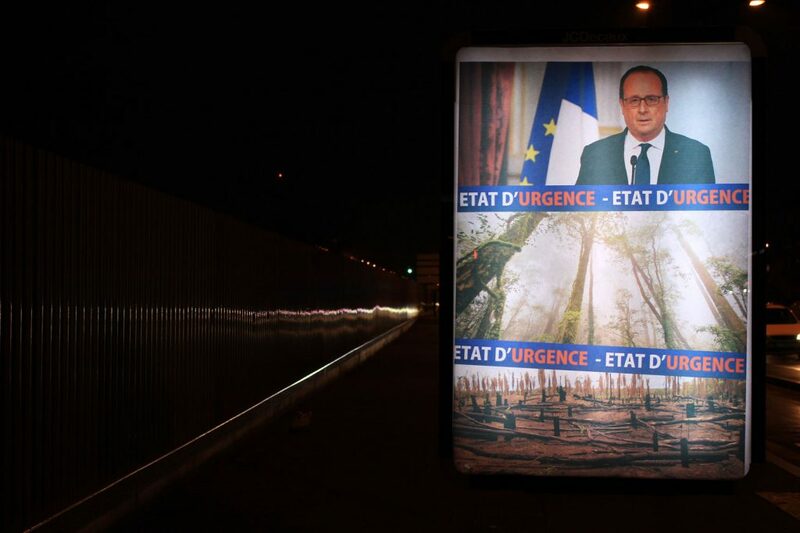 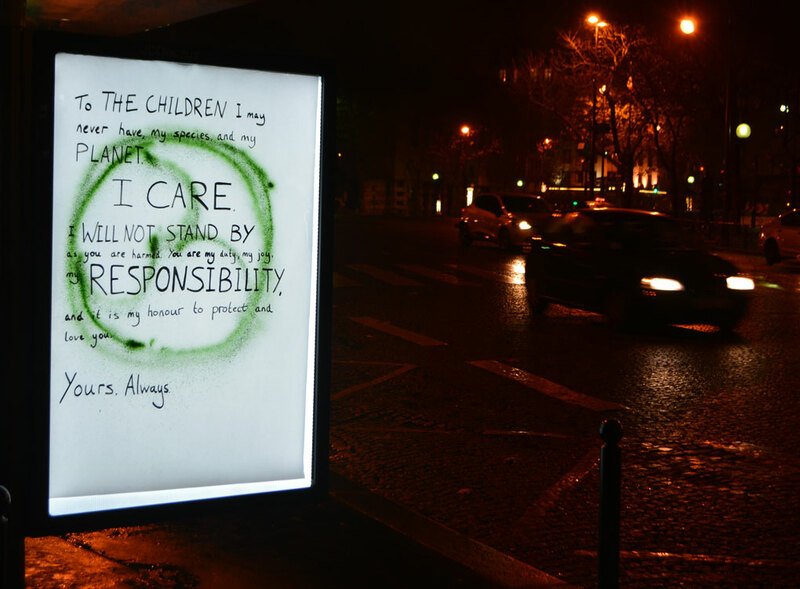 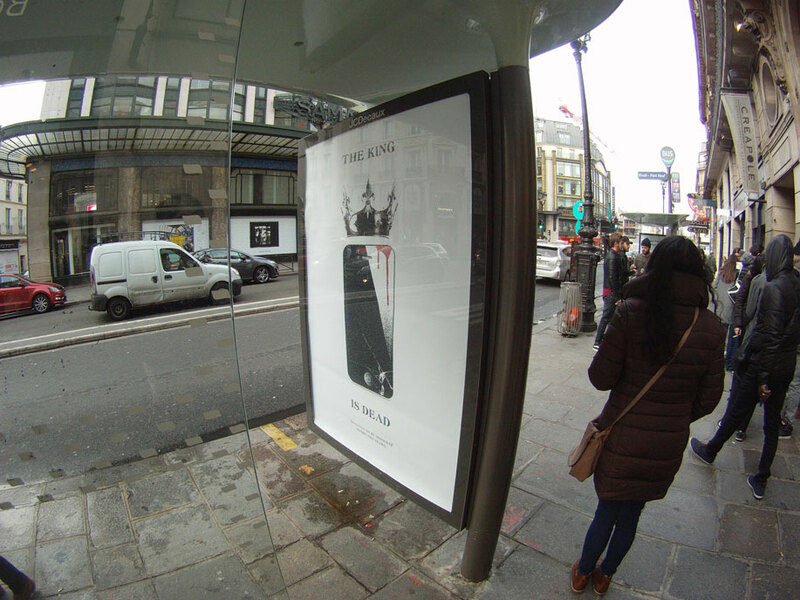 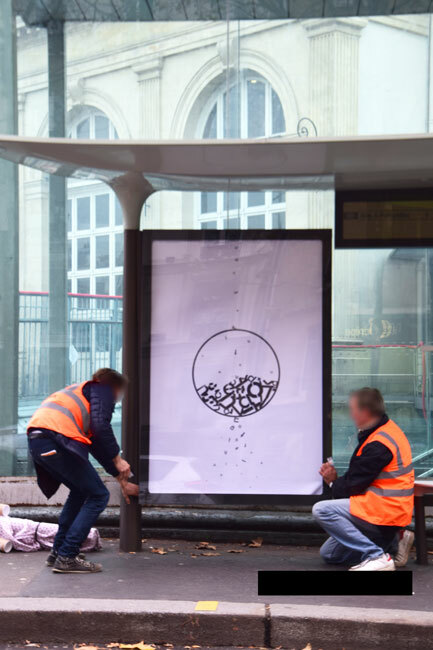 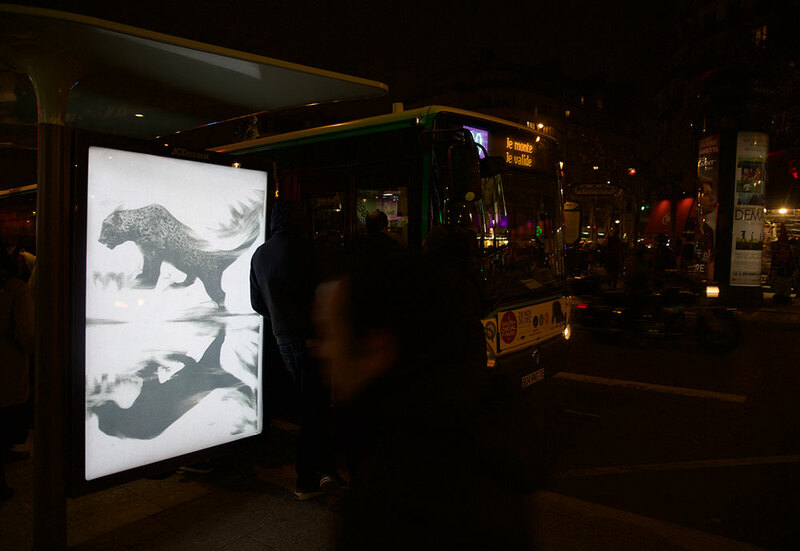 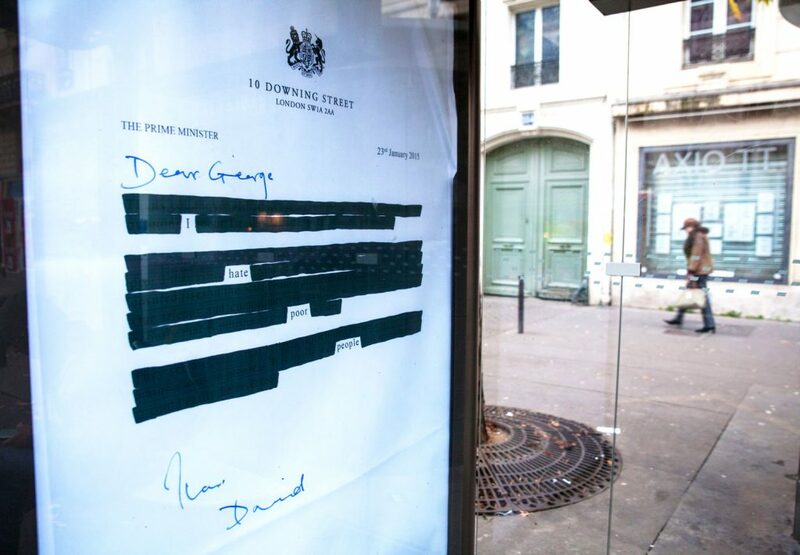 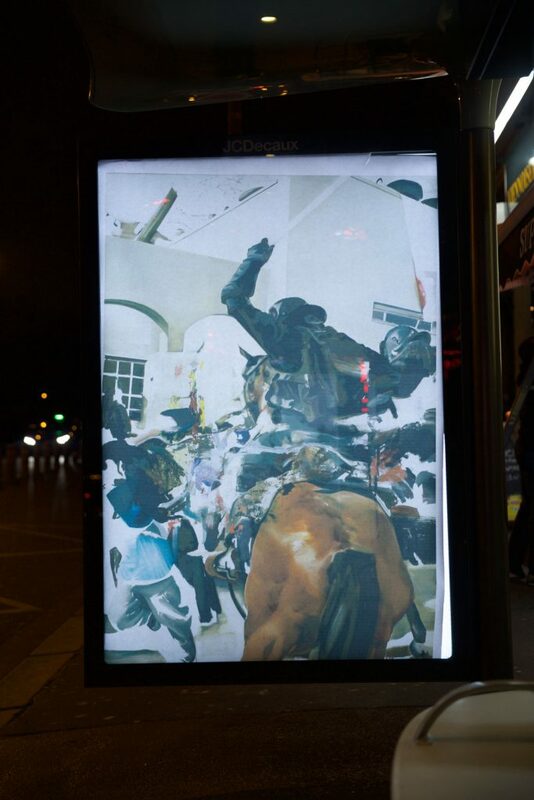 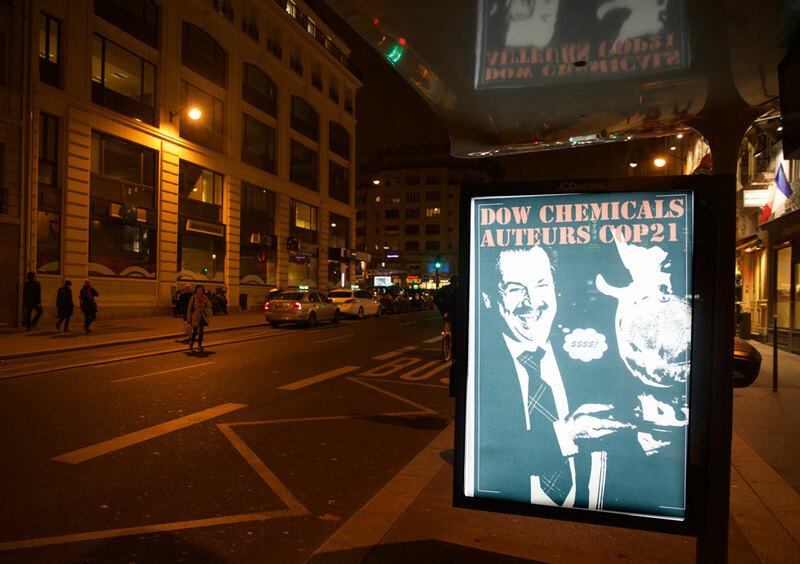 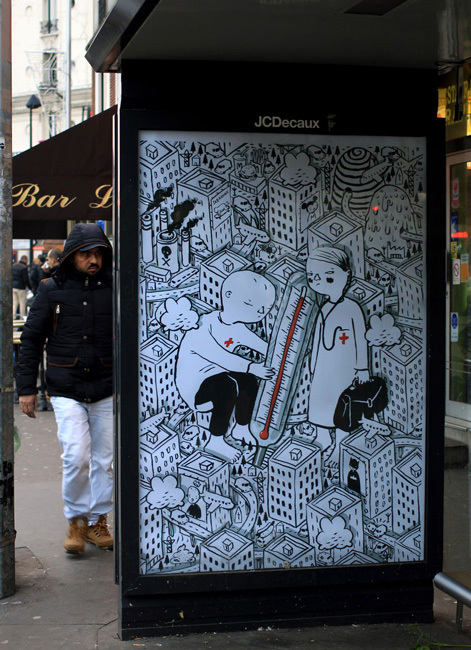 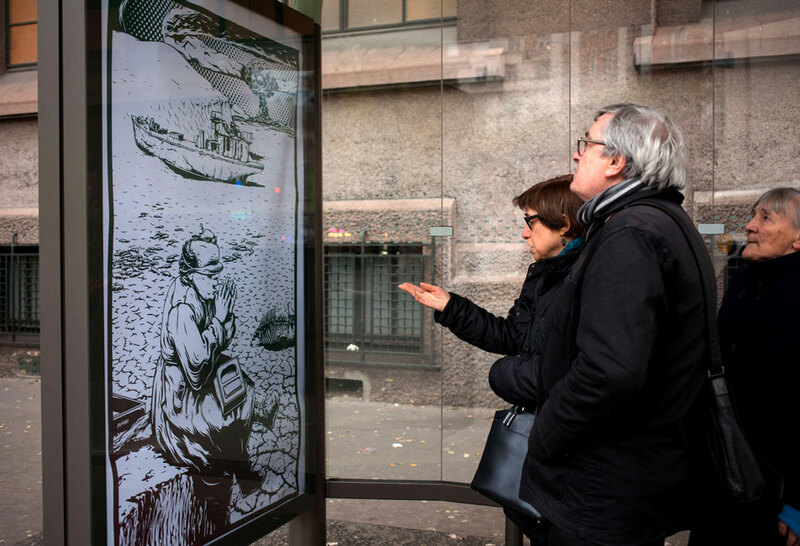 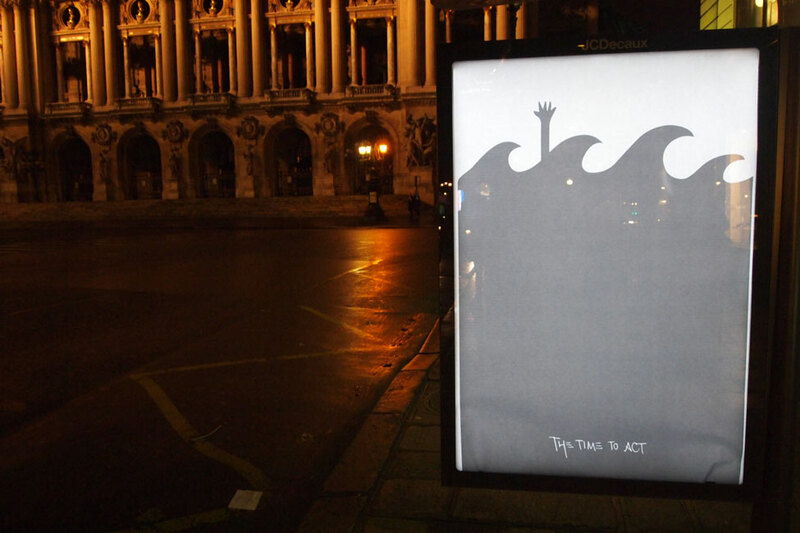 By working internationally with over 100 parisians and 80 artists from the global north and south, Brandalism installed 600 subvertisements in ad spaces across Paris the day before the COP21 Climate Talks were due to begin. 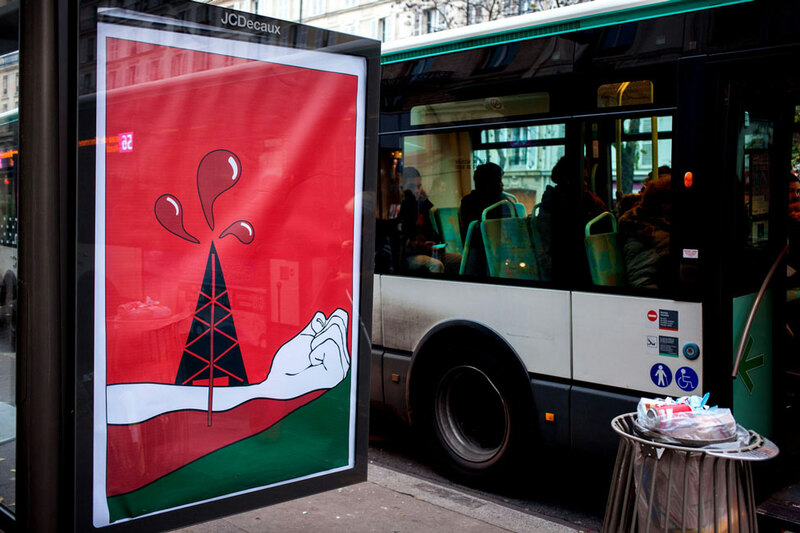 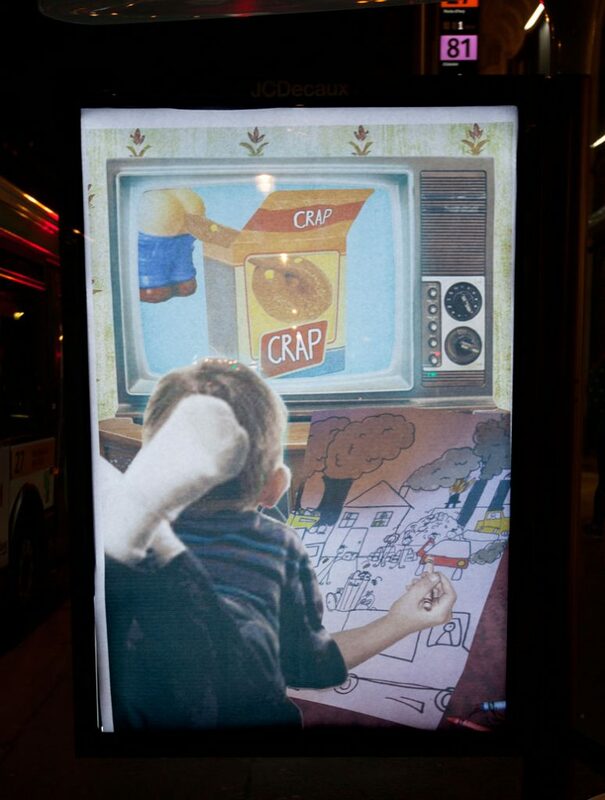 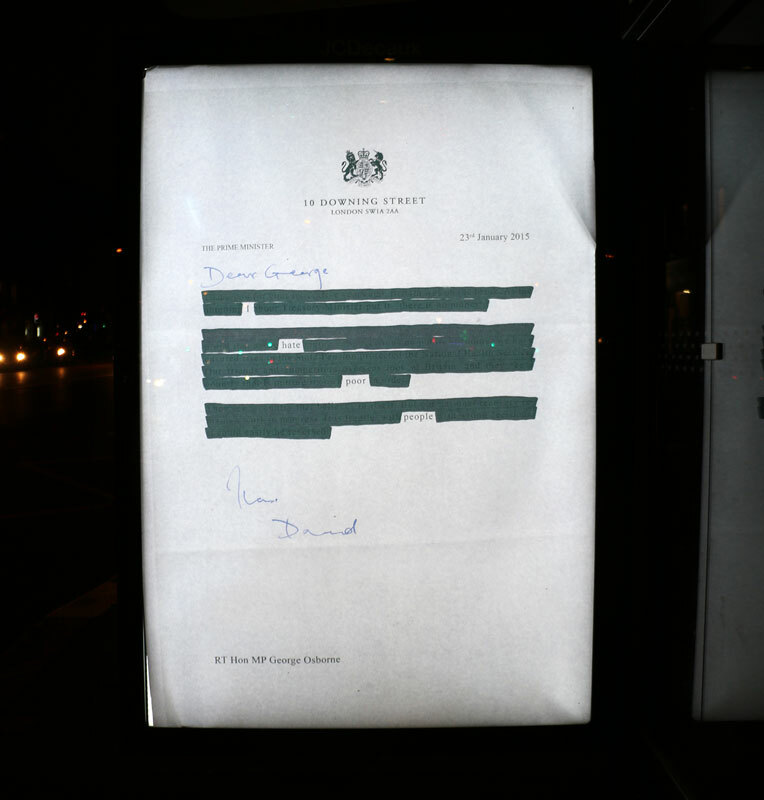 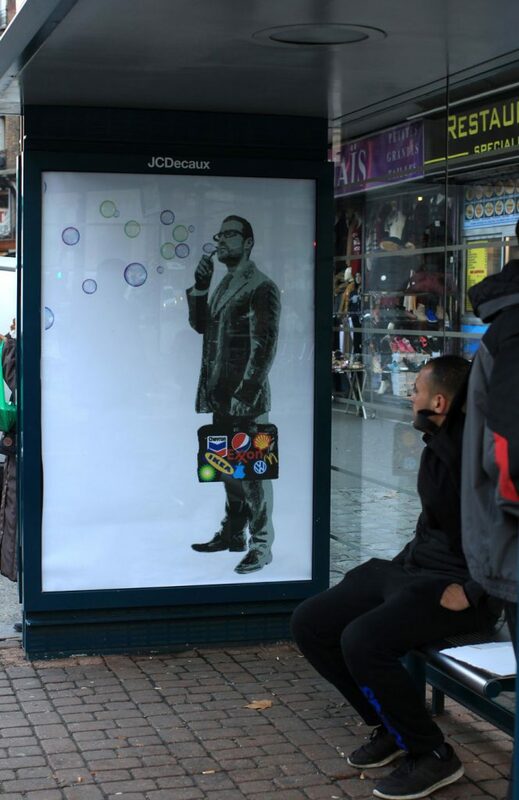 Brandalism aimed to creatively expose the corporate greenwashing of large multinational polluters and their corporate lobbyists, whilst further highlighting the devastating links between advertising, consumerism and climate change. 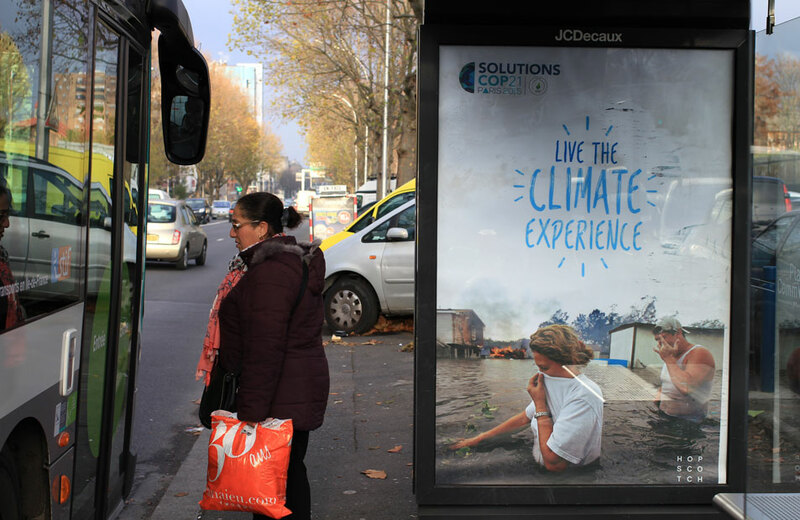 The award winning intervention, carried out during a state of emergency in Paris received international press exposure and prompted investigative journalism that took a closer look at the corporate sponsors of the COP21 talks.